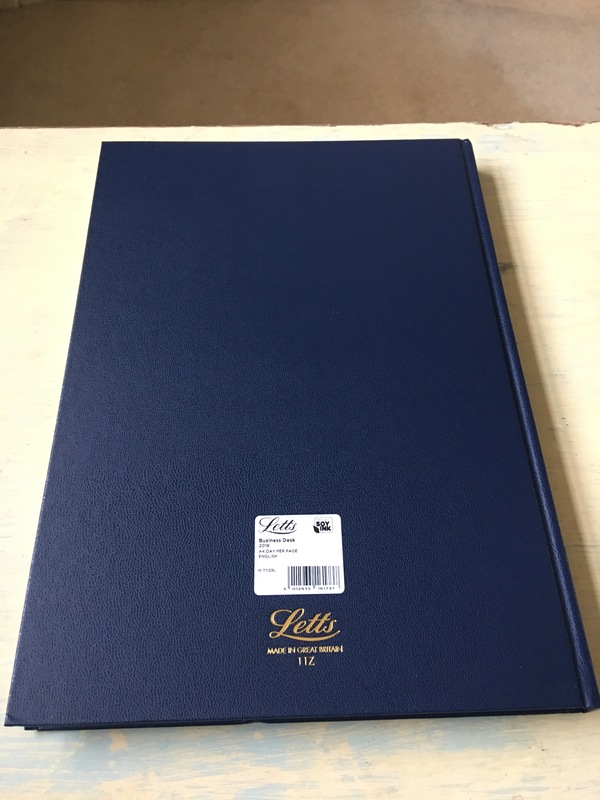 Letts (Letts Filofax Group Ltd. / Charles Letts & Co Ltd. / HSGP Investments) offer a wide range of diaries starting the week on a Sunday or starting the week on a Monday, day-per-page, and so on, some of which are made in the UK. Letts have manufacturing facilities in Scotland and abroad. Until recently Letts products have not generally stated country of origin, so you had to ask them direct if a product is made in the UK or not. 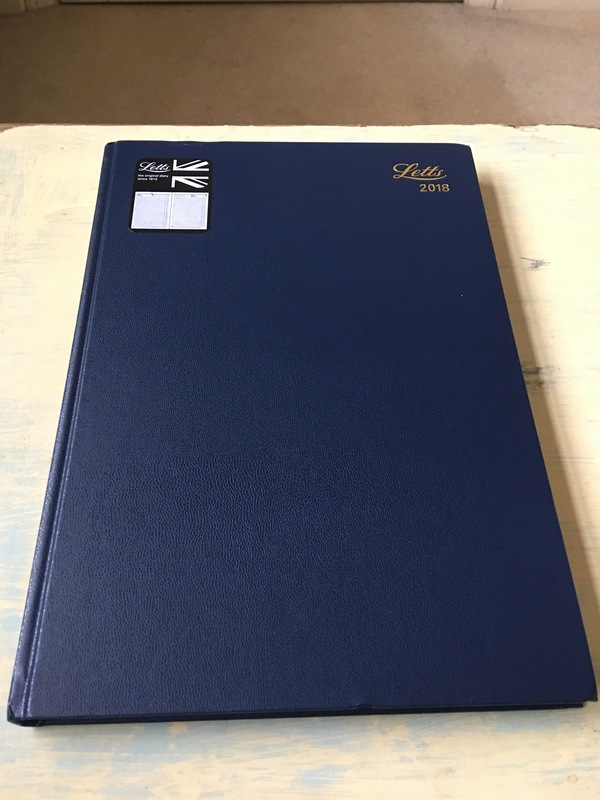 I was pleased that from 2014 diaries Letts were clearly identifying which of their dairies are made in the UK with the words “Made in Great Britain” on the back. However, disaapointingly from the 2016 diaries they have decided not to print on the back if a diary is made in Great Britain, so its back to having to ask them. 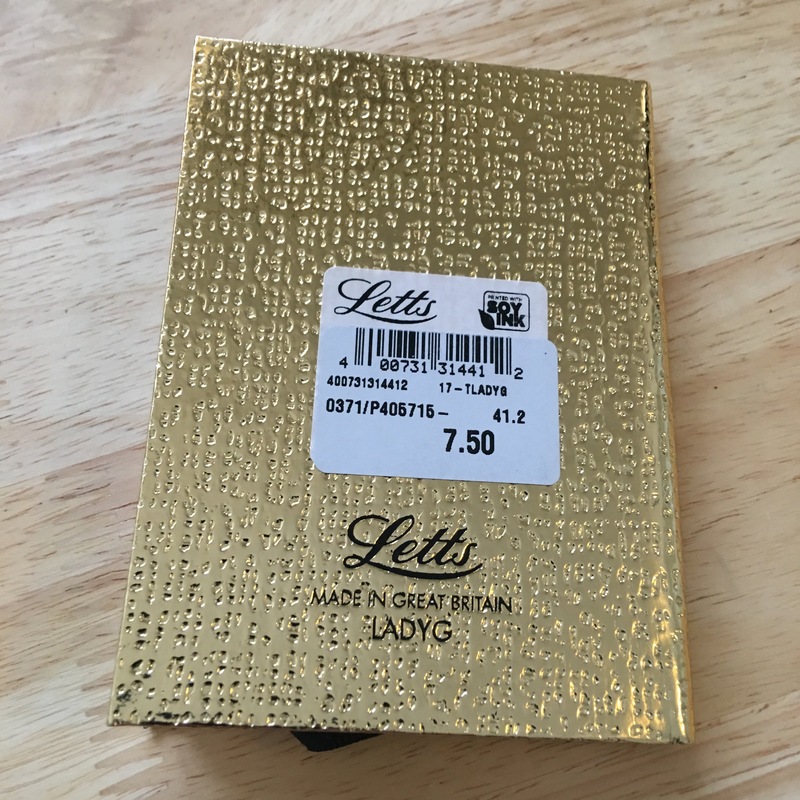 Letts diaries do have the words “Published in the United Kingdom by Charles Letts & Co Ltd” inside but that does not have the same meaning as ‘made in Great Britain’ or ‘printed and bound in the UK’. The good news is that most Letts diaries for 2017 again carry the words “made in Great Britain” on the back cover. Well done Letts. 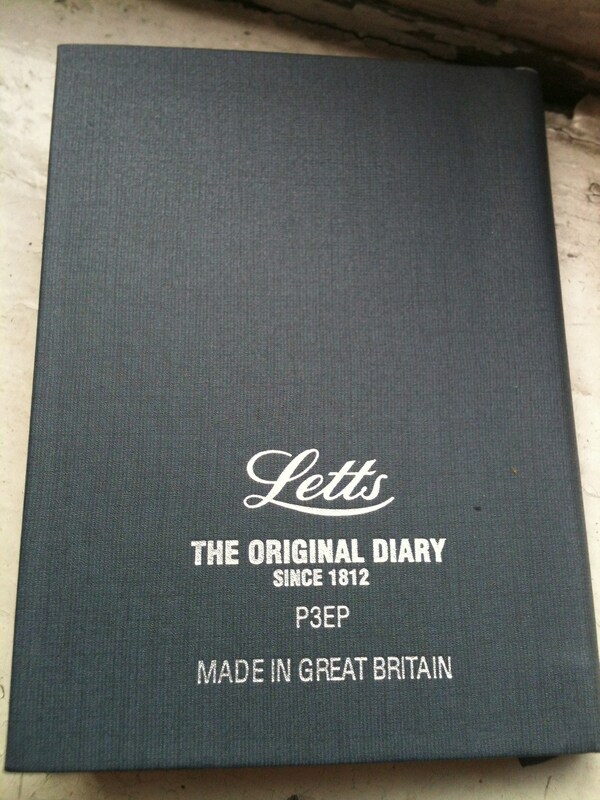 I assume those Letts diaries that do not carry the words “Made in Great Britain” are foreign made. Provenance is not shown on their website. 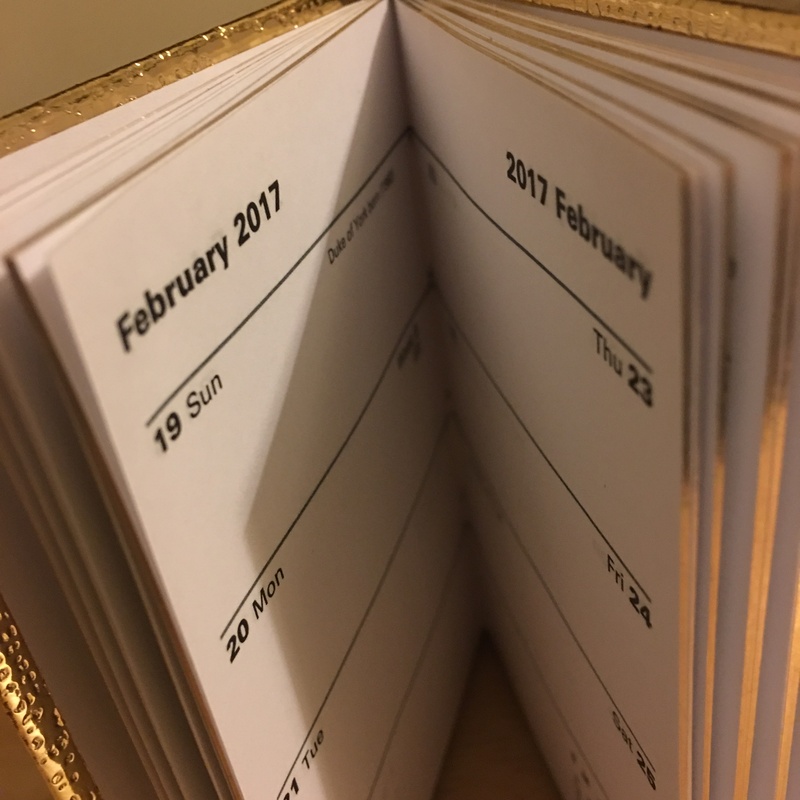 Letts also produce calendars, notebooks, address books and visitor books; again you will have to ask to find out if any of them are made in the UK. All Filofax inserts and covers used to be made in the UK. Sadly this is no longer the case and many of their products are now foreign made. However Filofax have told me that most of their diaries and papers are still printed here in the UK (but, annoying they no longer seem to put country of origin on their paper insert products) and that their Original range of organisers are also produced in the UK, so it is not all bad news. A few of their note books are made in the UK. With careful shopping you can still get a UK made filofax – look for the words “made in England” before buying. There’s a filofax size guide here. Filofax do a Sunday start week-on-2-pages diary insert, in Personal size for example, but most diaries are Monday start. Letts P3EP 2014 diary week to view Sunday start. Made in Great Britain. Letts Ladydate mini pocket week to view Sunday start pencil gold. Made in Great Britain. Height 102mm, width 68mm, depth around 6mm. Letts LADYG Ladydate Mini Pocket Diary 2015, week-to-view across 2 pages, Sunday start, with pencil. Made in Great Britain (front view). Photograph by author. 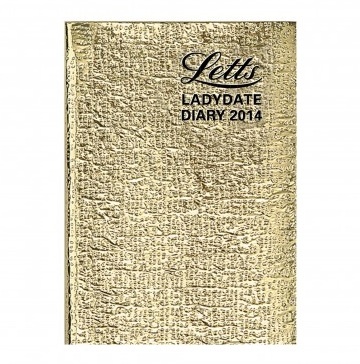 Letts LADYG Ladydate Mini Pocket Diary 2015, week-to-view, Sunday start, with pencil. Made in Great Britain (rear view). Photo by author. The words “made in Great Britain” on the back can be seen. Photograph by author. 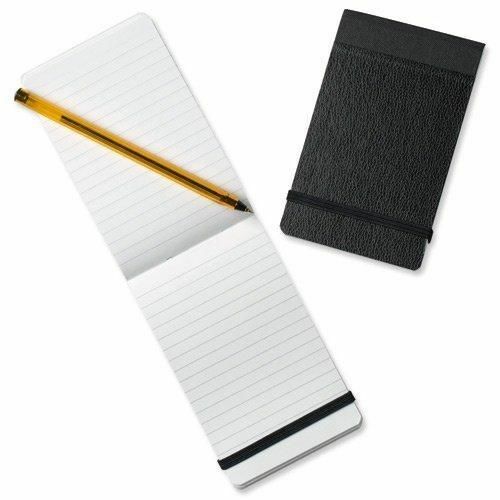 Filofax Original Patent Personal Organiser in black. Made in the UK. 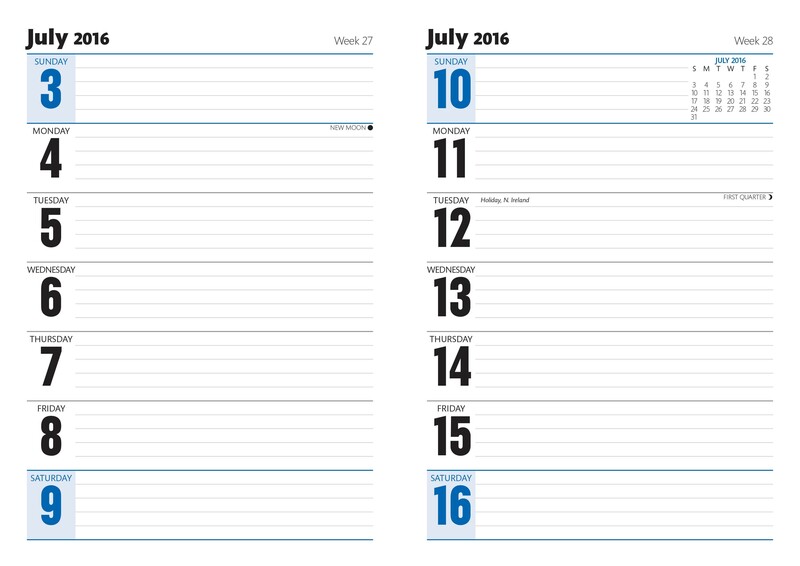 LADYDATE MEDIUM POCKET WEEK TO VIEW DIARY – ENGLISH 2016. Medium Pocket Gold product code: 16-TLADYSLIM. Sunday week start. Front view. Height 148mm, width 80mm. Includes an innovative pencil hidden in the spine. LADYDATE MEDIUM POCKET WEEK TO VIEW DIARY – ENGLISH 2016. Medium Pocket Gold product code: 16-TLADYSLIM. Sunday week start. Inside view. 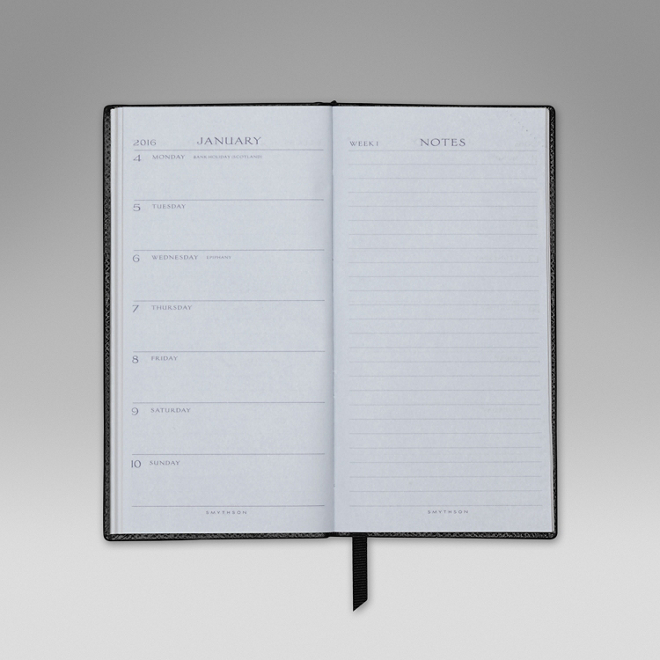 FILOFAX THE ORIGINAL ORGANISER, SPECIAL EDITION Personal Jack Leather product code: 16-022502. Made in England. Front view. 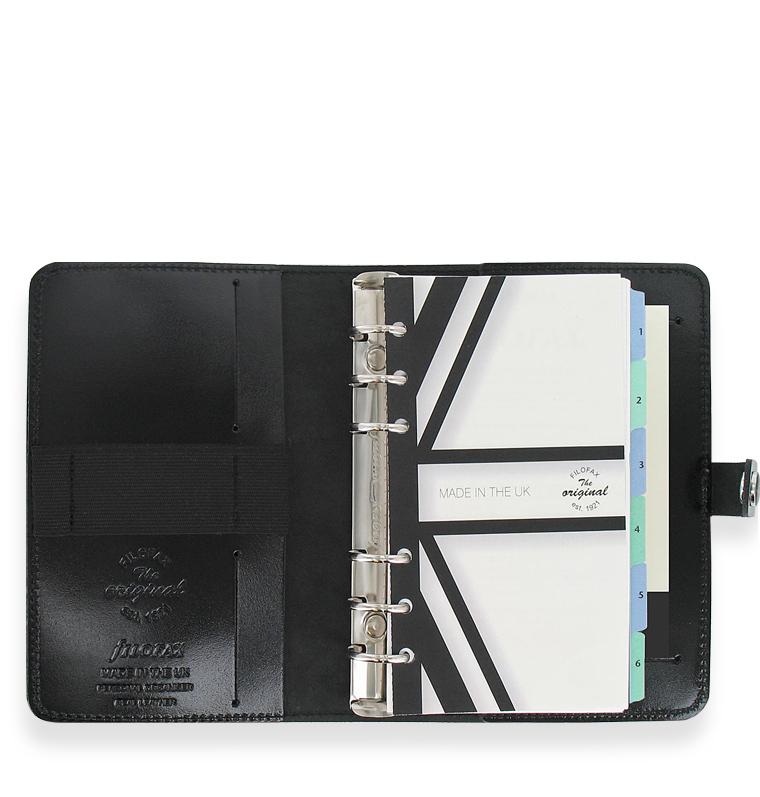 FILOFAX THE ORIGINAL ORGANISER, SPECIAL EDITION Personal Jack Leather product code: 16-022502. Made in England. Empty open view. You can make out the words ‘Made in UK’ bottom left. 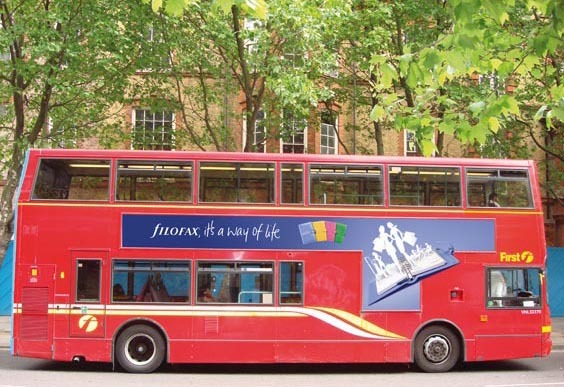 Photograph of a London bus during the 2008 Filofax ‘It’s a way of life’ ad campaign. Old Filofax inserts and accessories were clearly labelled made in UK or made in England, like those for the Personal organiser in this photograph. Unfortunately modern inserts and accessiries from Filofax no longer have country of origin labelling. Photograph by author. A Letts 2017 L3SU Lexicon Slim diary carrying the words “Made in Great Britain” on display in Selfridges, London 11/10/15. Photograph by author. A Letts 2017 LADYG Ladydate diary carrying the words “Made in Great Britain” on the rear cover. Sunday week start. Front cover view. 12/10/15. Photograph by author. 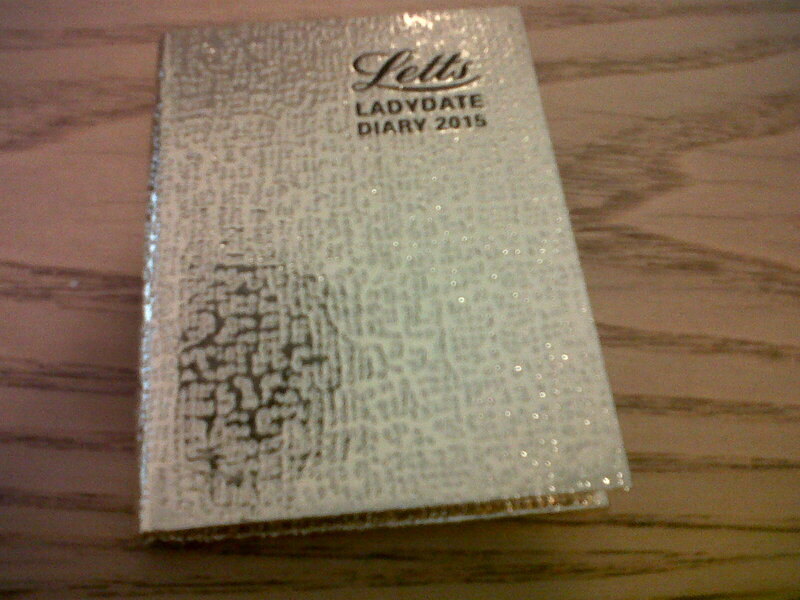 A Letts 2017 LADYG Ladydate diary carrying the words “Made in Great Britain” on the rear cover. Sunday week start. 12/10/15. Photograph by author. 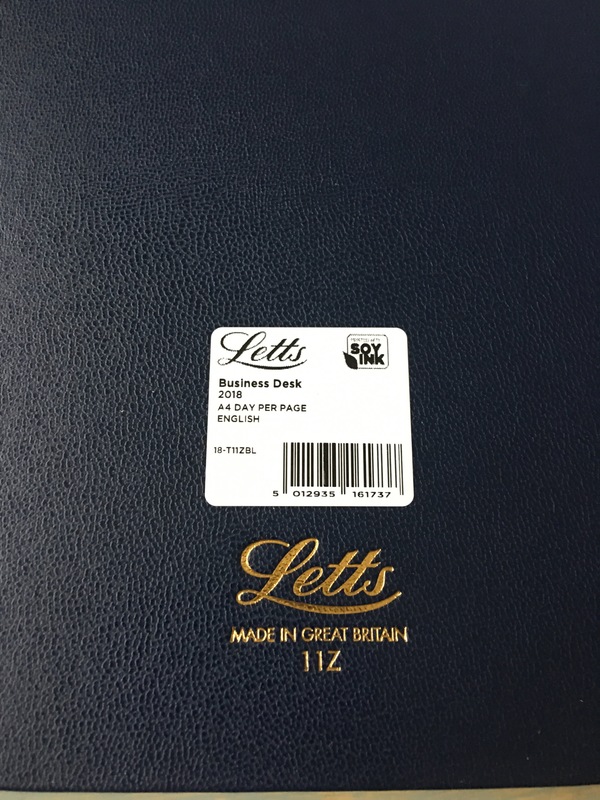 A British made Letts 2017 LADYG Ladydate diary carrying the words “Made in Great Britain” on the rear cover. Sunday week start. 12/10/15. Photograph by author. Inner pages view. 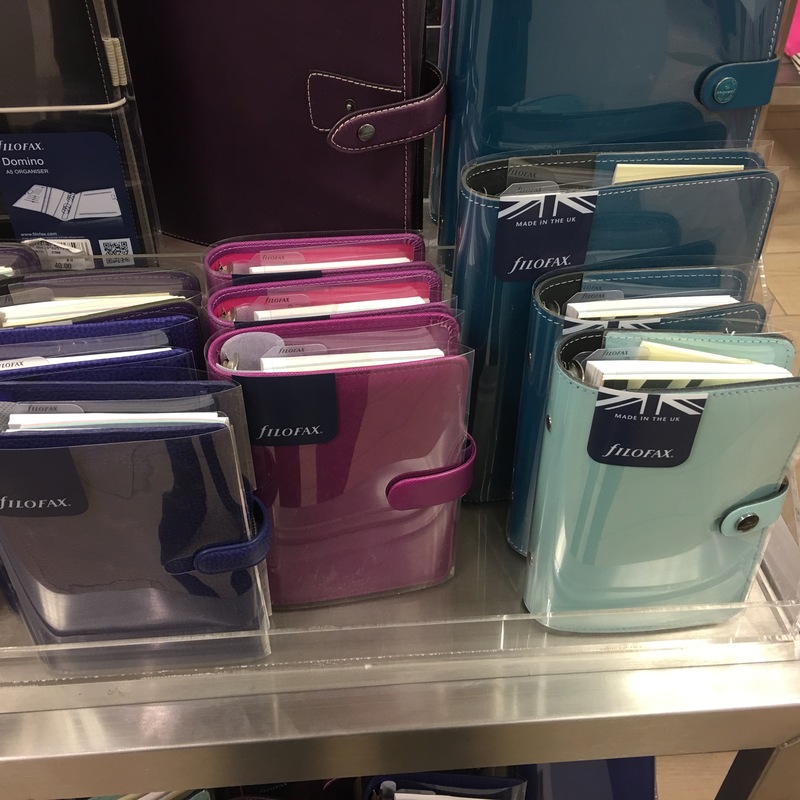 A Filofax display in Selfridges, London 11/10/15. Some of the products on display are made in the UK and carry the words Made in the UK” on the display label. Photograph by author. Letts Business Desk A4 page per day diary 2018. Made in Great Britain. Photograph by author 2 January 2018. Front view. Letts Business Desk A4 page per day diary 2018. Made in Great Britain. Photograph by author 2 January 2018. Rear label view. 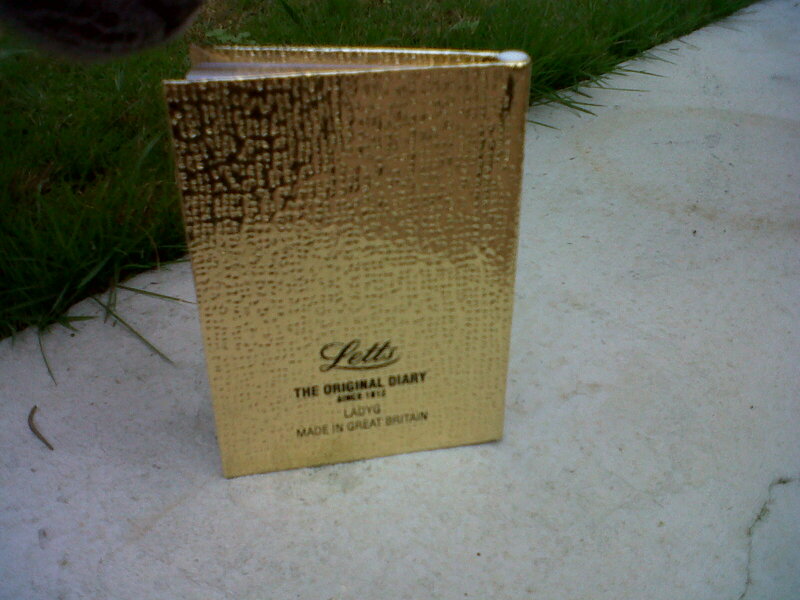 This Letts diary clearly has the words Made in Great Britain on the back. Letts Business Desk A4 page per day diary 2018. Made in Great Britain. Photograph by author 2 January 2018. Rear label view detail. Letts Business Desk A4 page per day diary 2018. Made in Great Britain. Photograph by author 2 January 2018. Pages view. Unlike some page-per-day dairies this Letts dairy has a full page for Saturday and Sunday. 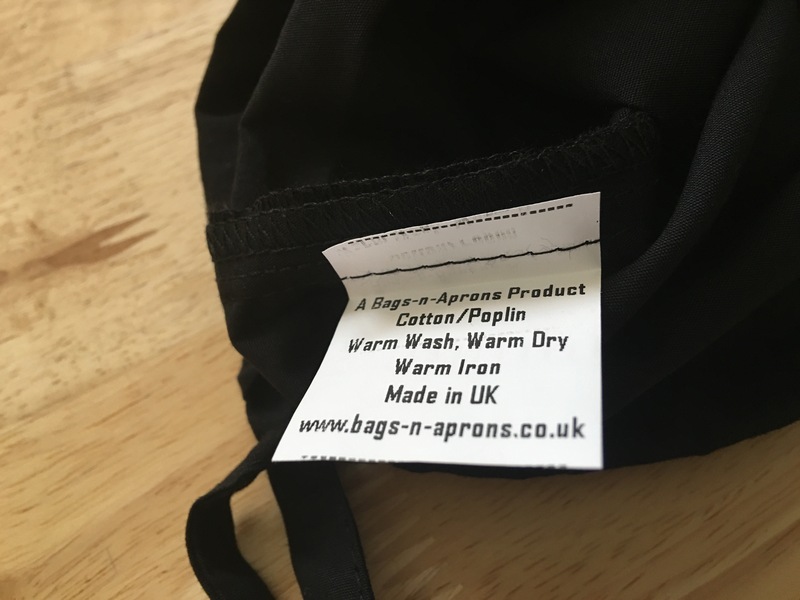 Bags-n-Aprons Cotton/Poplin Drawstring Bag 20 by 24cm in black. Made in United Kingdom. Photograph by author. Empty view. 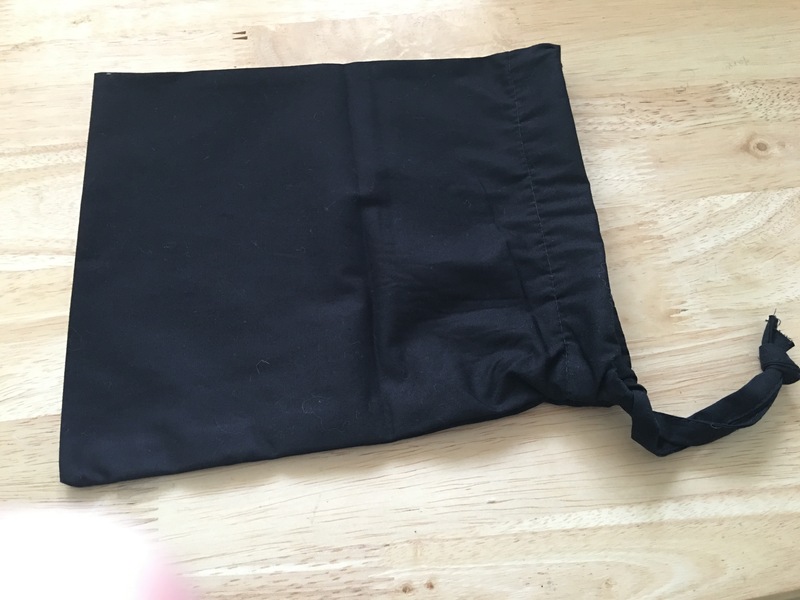 Bags-n-Aprons Cotton/Poplin Drawstring Bag 20 by 24cm in black. Made in United Kingdom. Photograph by author. Label view. 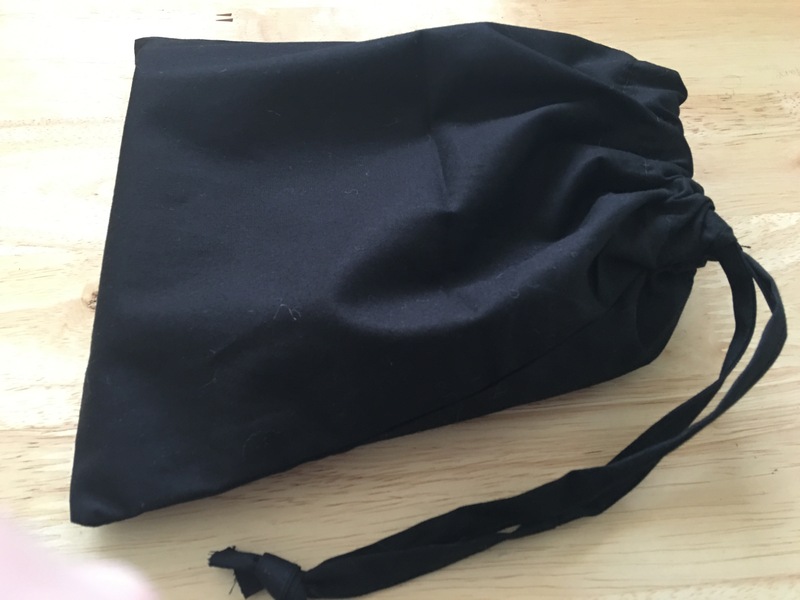 Bags-n-Aprons Cotton/Poplin Drawstring Bag 20 by 24cm in black. Made in United Kingdom. Photograph by author. View with a Personal Filofax inside. 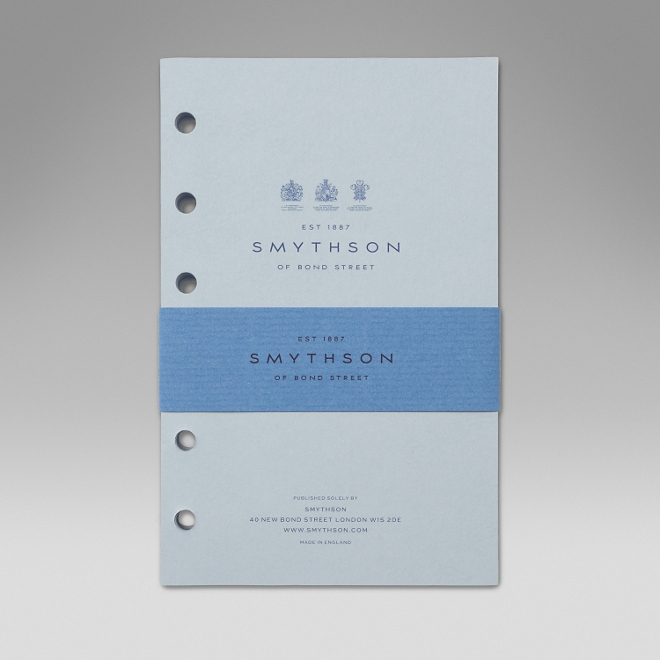 Smythson Bijou organiser 2015 diary refill, week-to-view, Monday start. Made in England. Smythson black 2016 Memoranda diary. Monday start with notes page facing. Made in England. 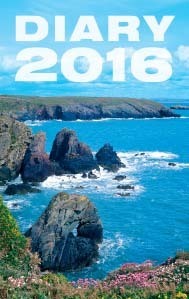 Weeks view of the 2016 National Trust Small Pocket Diary. Sunday start. “Exclusively made for the National Trust in the UK.” 108mm (h) x 80mm x 10mm (d). 2016 National Trust Family Organiser. Made in the UK. 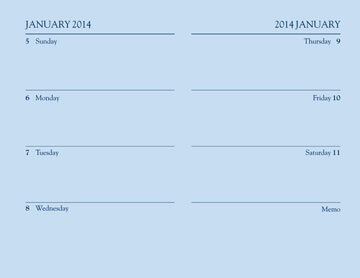 I like the simple innovative use of columns in this calendar. 1st of the month start. Some of the diaries in this display in Paperchase in Reading are made in the UK. Photograph by author. Photograpghs of an A5 Slim Diary, in Fuchsia, made by Toad Diaries for the Clearly Bex review mentioned above. 1 week to 2 page view starting from January 2015 to run for 13 months. Go Stationery make wire-bound and bound diaries in London, England. Go Stationery, together with their other brands, also make notebooks, ring binders, address books, note cards, postcards, gift wrap, placemats, coasters, calendars, products for museums, greetings cards, etc and do printing generally on paper and plastics. Page-per-day or Monday start week-on-2-pages dairies. A5 and A6 sizes. Very nice diaries. There are reviews here, here and here. Go Stationery 2016 diaries are available via their website, on Amazon and in stores such as John Lewis. Go Stationery also do a bespoke service for diaries and other stationery and make branded diaries for many well-known retailers and well known museums. Of their bespoke diaries they say “GO Stationery produces bespoke stationery in small or large quantities…” and “Everything is designed and made by us in London, nothing is sub-contracted and nothing is on the slow boat from China!”. 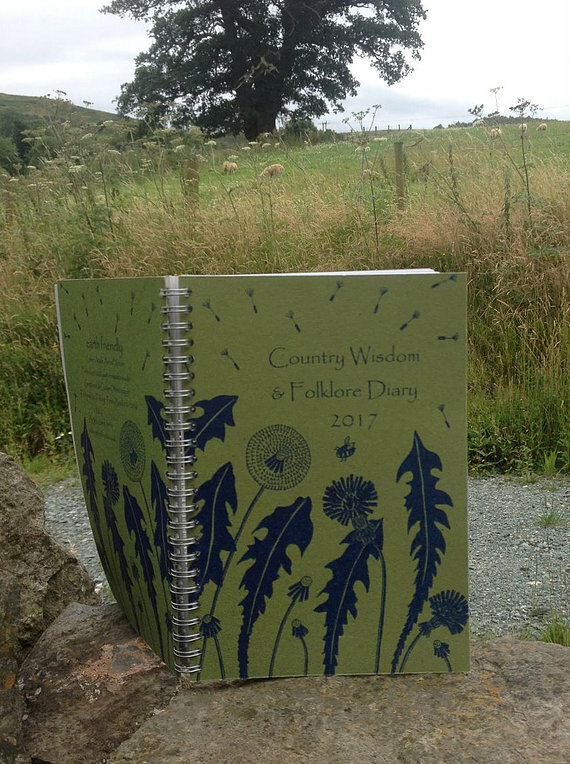 As they say they will produce in small quantities they might make a diary specially for an individual customer, although one may be too small a quantity for them? 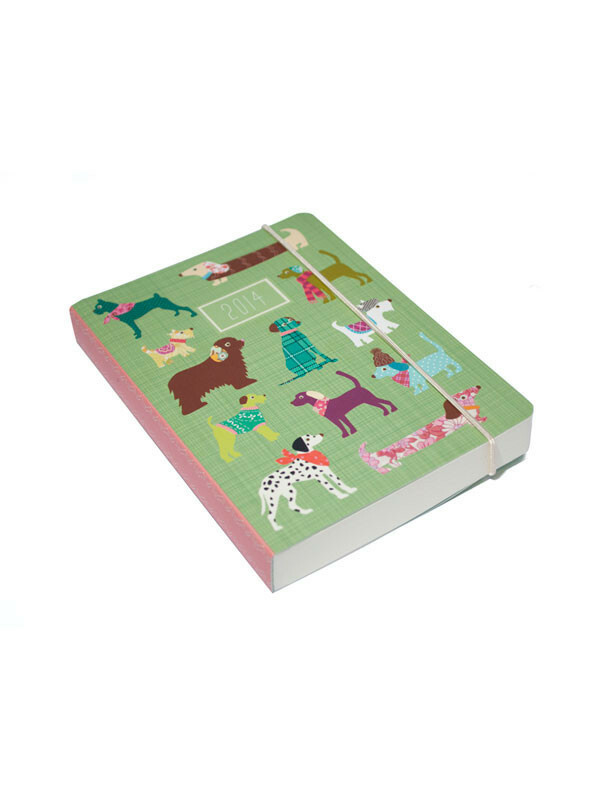 Go Stationery Animal Friends – Dogs A6 2014 full year diary page per day. Made in England. 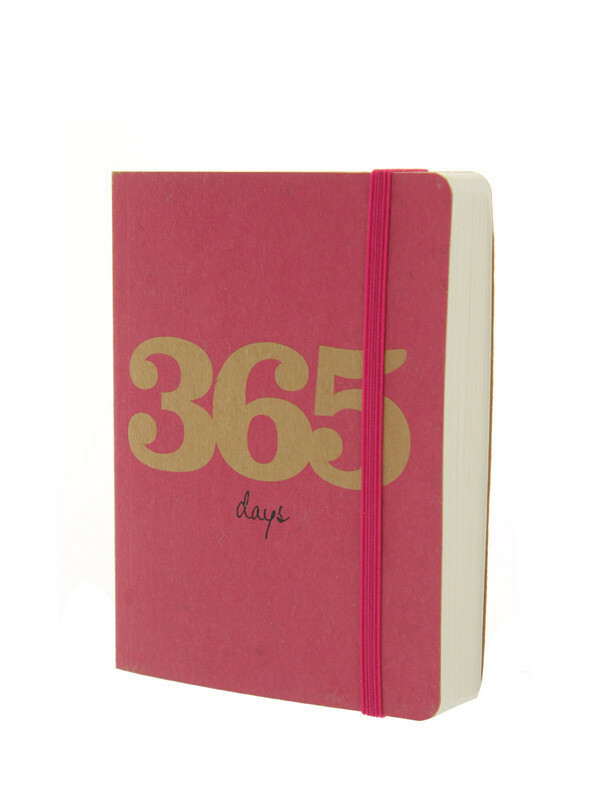 Go Sationery 365 Cerise A6 2016 full year diary. 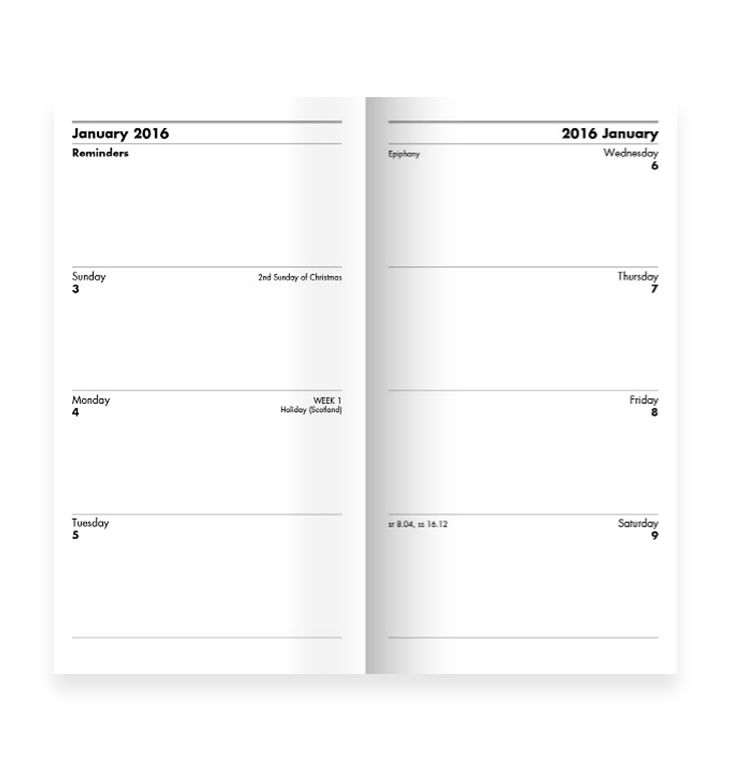 Go Sationery 365 Cerise A6 2016 full year diary, page layout. 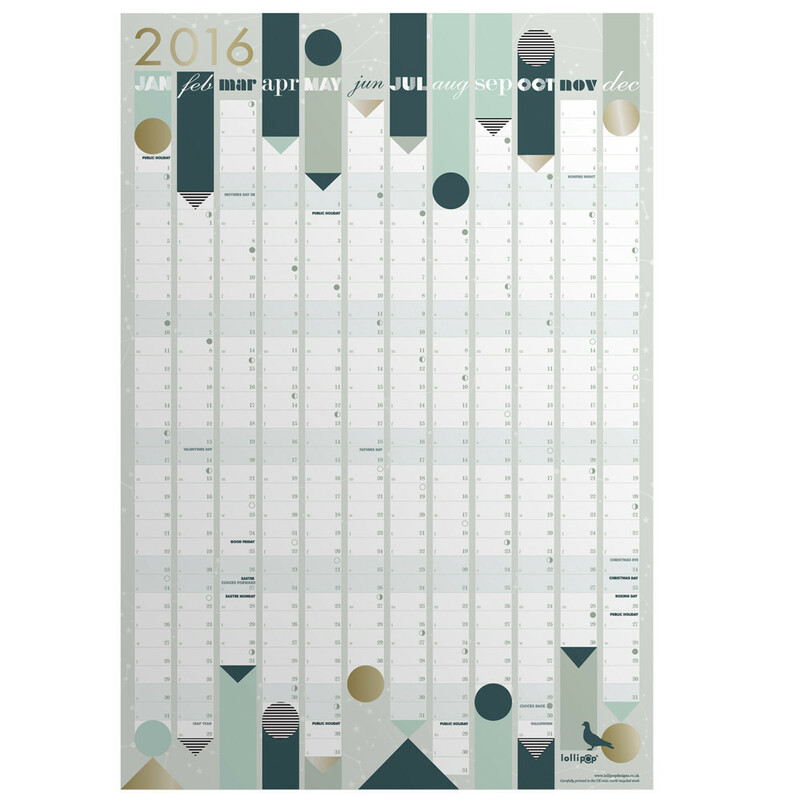 Go Stationery Stag – A6 2016 full year diary. 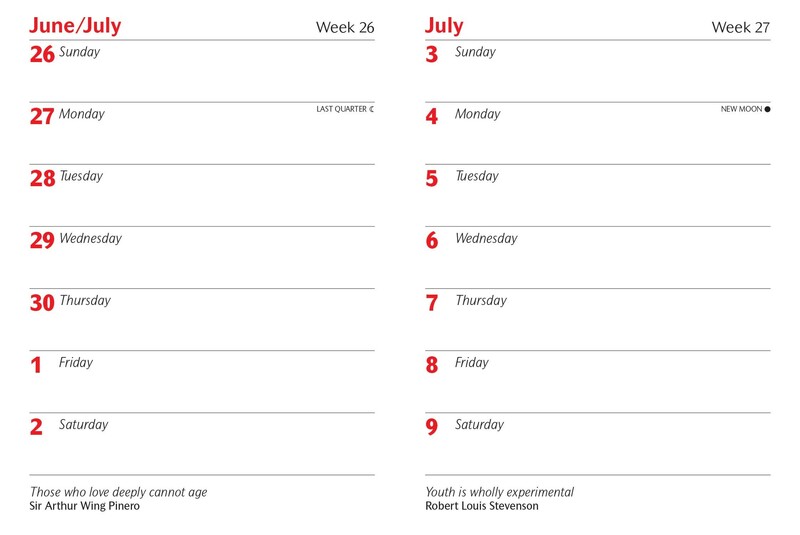 Page-per-day layout (Saturday and Sunday on one page). Elastic closer. 140mm x 105mm. 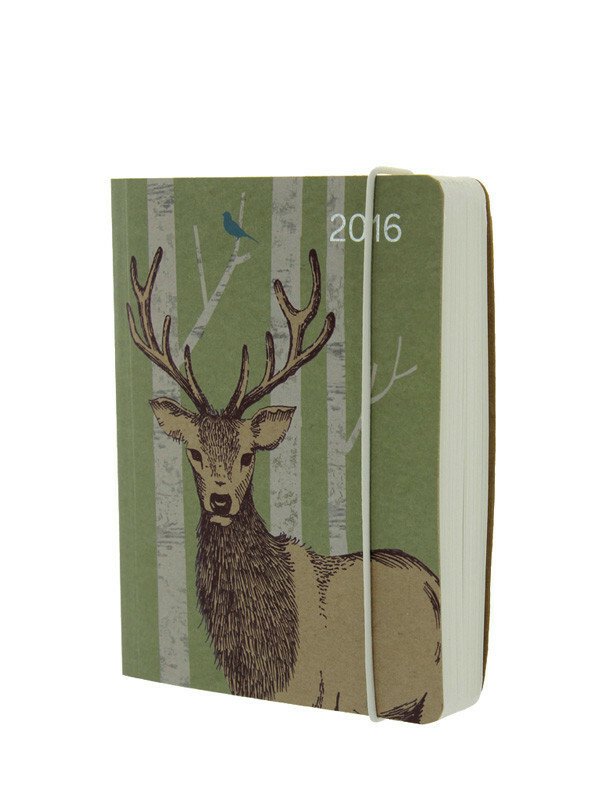 This Stag diary and their owl and pheasant diaries see a donation being made to the Woodland Trust by Go Stationery. A matching chunky notebook is also available. The pheasant diary is also available on the Woodland Trust website. Leathersmith 313R-R The Windsor Diary – Week to View. Sunday start. 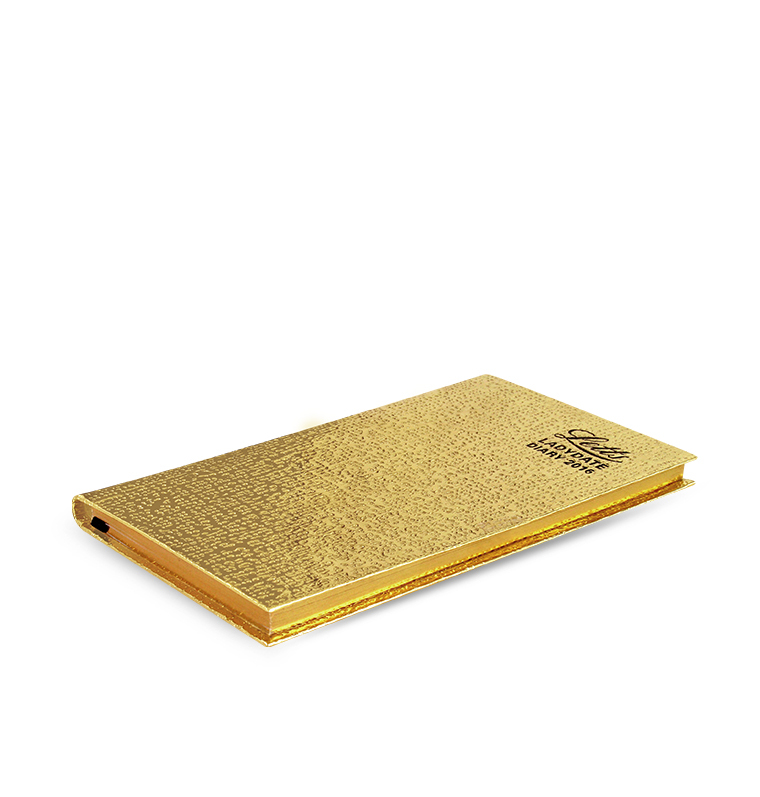 The Windsor is their smallest diary at 76 x 51 mm. Made in England. Inside view. Leathersmith 313R-R The Windsor Diary – Week to View. Sunday start. The Windsor is their smallest diary at 76 x 51 mm. Made in England. Front view. Neale Dataday Limited (aka Canvey Island Bindery Company Limited). I wrote to this company in August 2015 to ask whether all or some of their dairies, planners and calendars are made in England, but disappointingly they have not bothered to respond. They have their own bindery in Essex, so some products may be made in the UK. Their Leathersmith dairies (see above) are made in England. 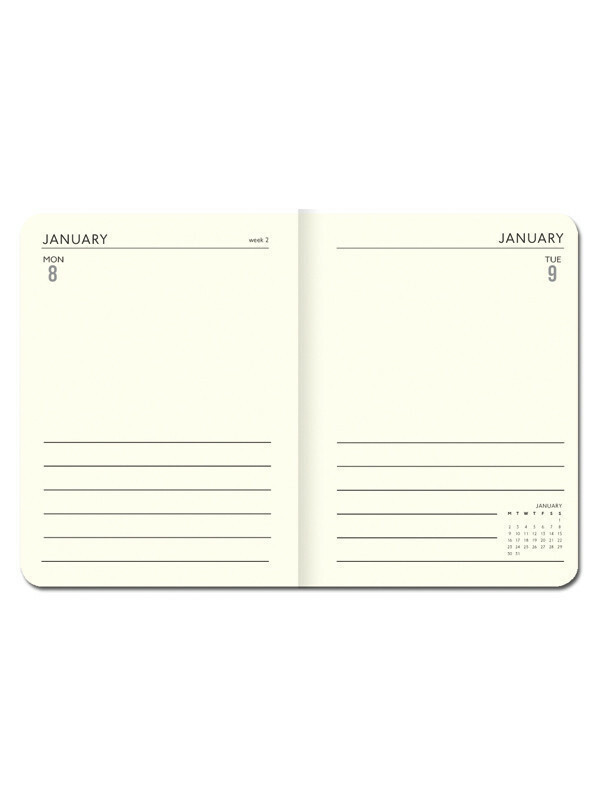 They sell a wide range of dairies, calendars, and year planners, including both Sunday and Monday start diaries. They Neale Corporate brochure says the following “whilst focusing its efforts on Marketing, Sales and Distribution, the Company continues to maintain a small but highly skilled bookbindery producing high quality products” suggesting most of their products are made elsewhere and presumably foreign made. Their Dataday site, their Lloyd’s Diaries site, their Sherwood Diaries site, and their Diaries Direct site, all fail to give country of origin information. I think then it can be safely assumed that the vast majority of Neal Dataday diaries, planners and calendars are foreign made, excepting their Leathersmith range. On checking in October 2016 it seems the company have been re-named Charfleet Book Bindery. 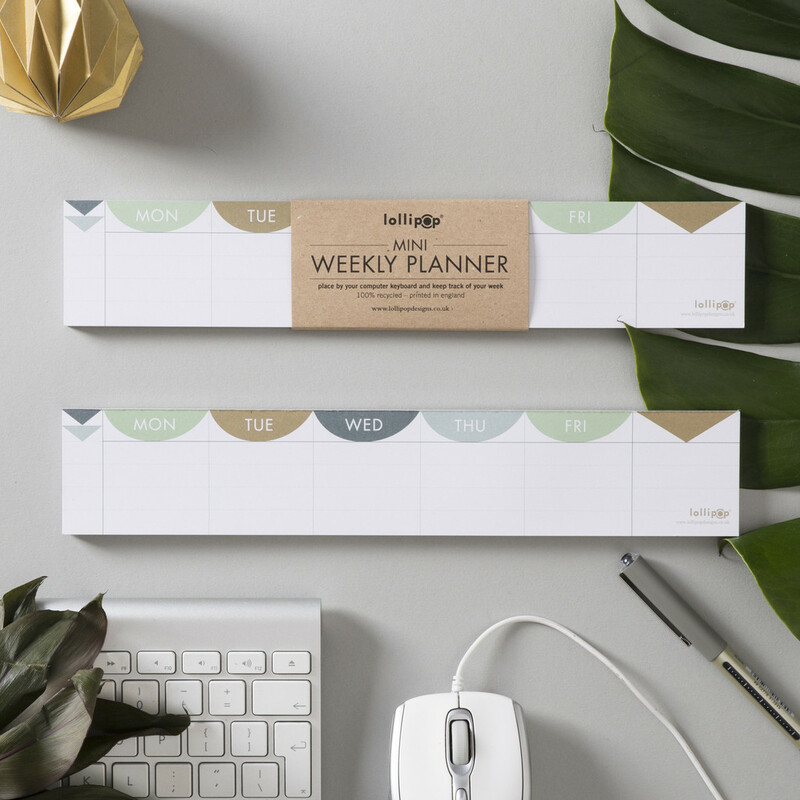 Weekly Planner Pad by Lollipop Designs. Monday through Sunday. 21cm x 30cm. Made in England. 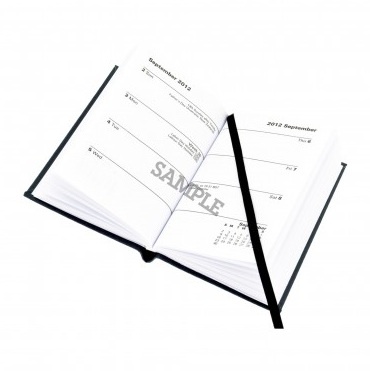 Simple innovative use of columns in this desk calendar pad make it an ideal family organiser. Lollipop Designs 2016 year planner. Poster size (50 x 70cm), portrait-orientated. You can just make out the words “carefully printed in the UK…” bottom right of the photograph. 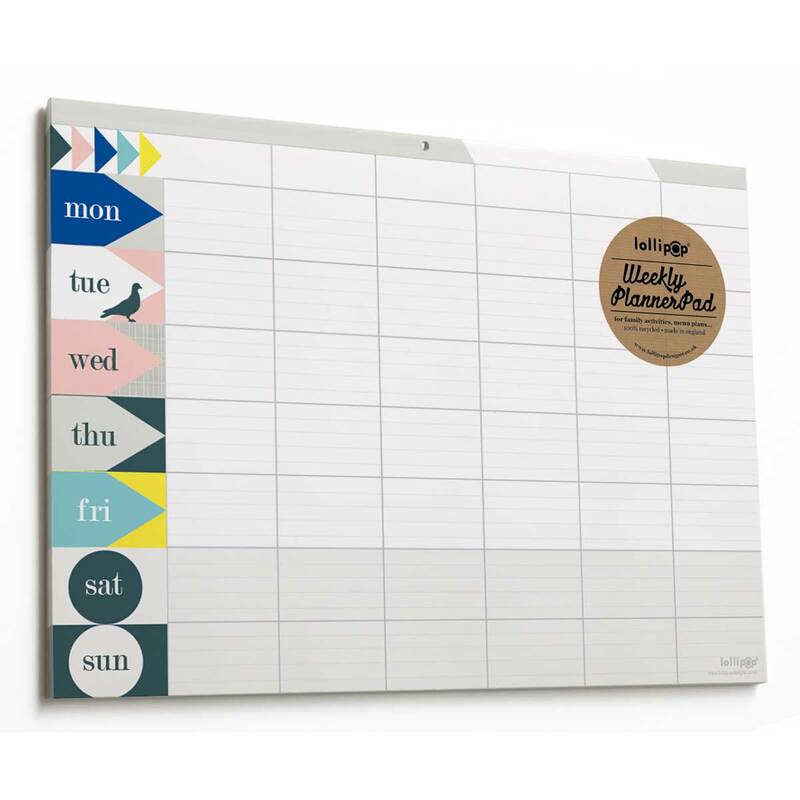 Lollipop Designs mini ‘keyboard’ weekly planner. Printed in England. 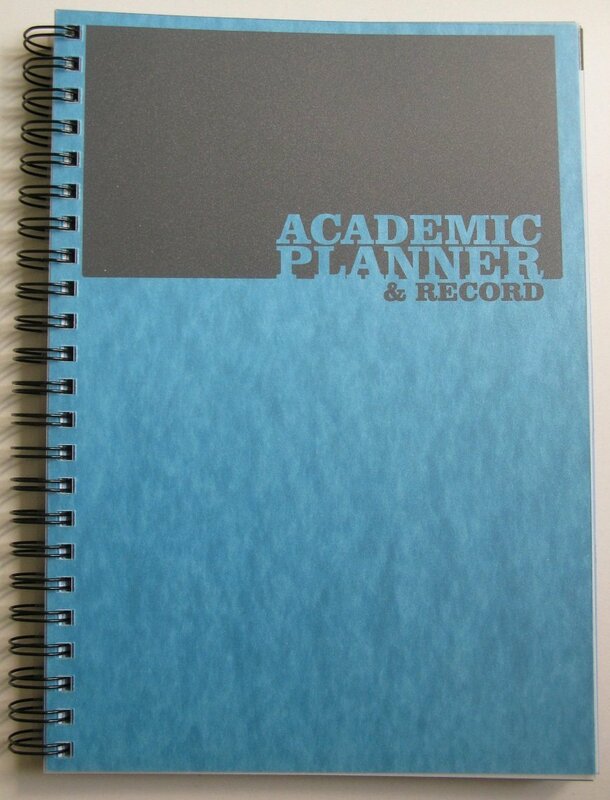 Silvine undated Academic Planner/Record – Blue. Silvine Classic Memo Book. British made. Quality lined paper. Quality red jacket. Pocket sized. Lightweight. Ref 042F. 10 x 16 x 0.5cm. Silvine ‘Police’ Pocket Notebook. Elasticated strap. Stiff Cover. 160pp, 75gsm paper, 82x127mm / 3.25″x5”. Made in the UK. 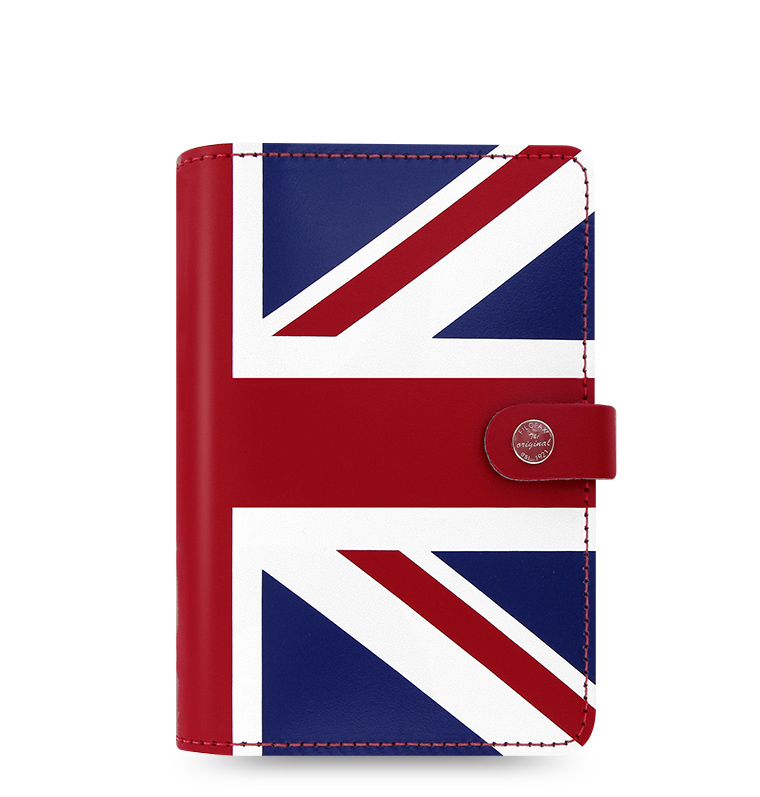 For more British made notebooks click the hyperlink. Barabara Wiggins diaries are made in the UK – http://www.barbarawiggins.co.uk/index.php?cat=13&sec=66 Unfortunately this company appear to have now closed. As of August 2015 their website says “The Barbara Wiggins web site is now closed”. 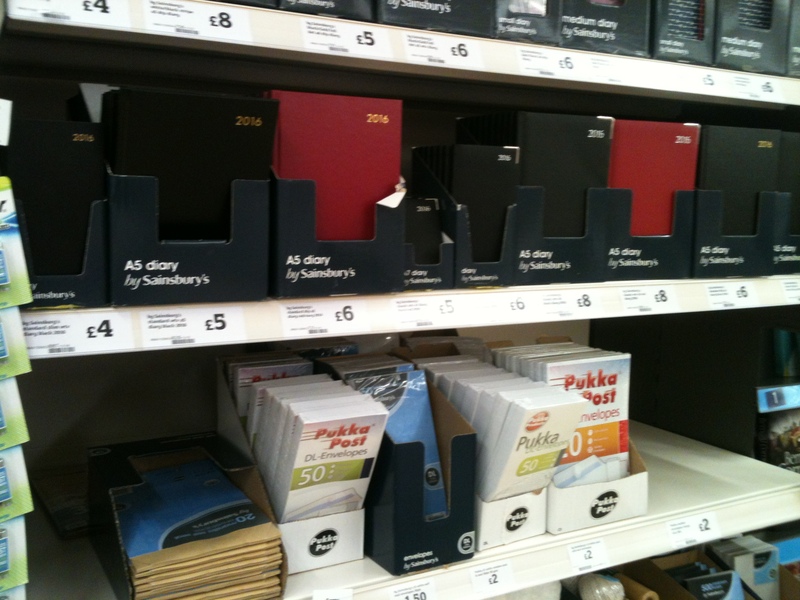 Some diaries for 2016 in Sainsbury’s are made in the UK. A display in Sainsbury Swindon 4 November 2015. Photograph by author. 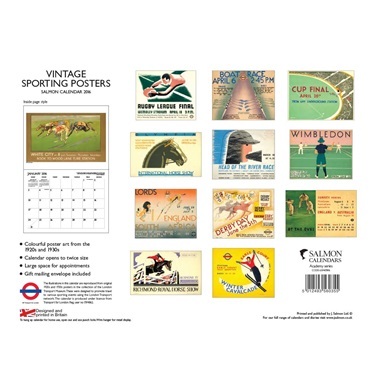 London Transport Museum Vintage Sporting Posters Wall Calendar 2016. Back view. Bottom left it says “designed and printed in Britain”. Sunday start calendar. Made by J Salmon Ltd (see below). 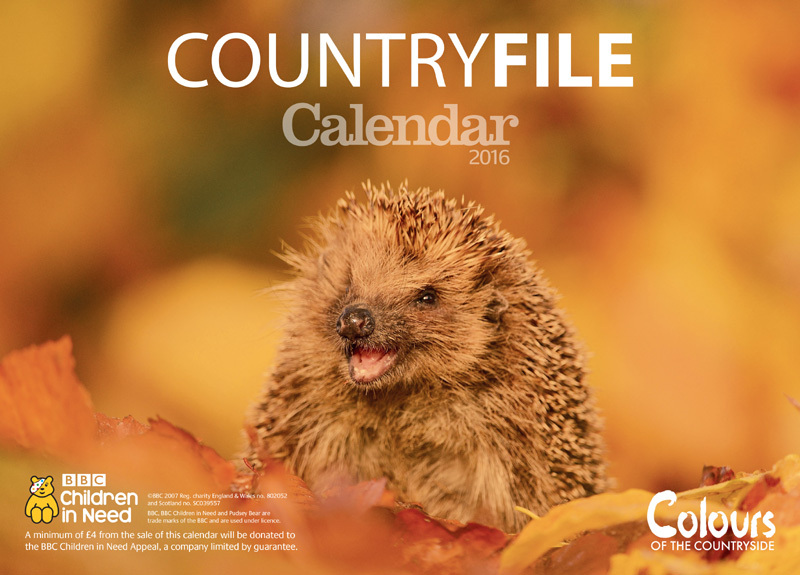 BBC Countryfile 2016 Calendar, front cover view. Made in the UK. J. Salmon Limited is the oldest established post card and calendar publisher in Britain, founded in 1880. 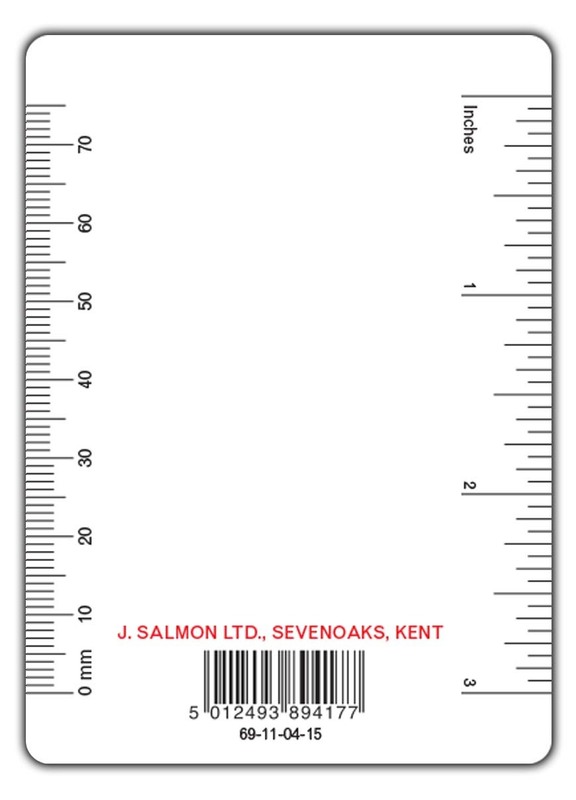 On their website it says “Salmon is proud to say that its product range is still entirely printed in Britain at its site in Sevenoaks.” Post cards and calendars remain at the core of the company’s publishing but other product ranges include guide books, gift books, recipe books, greeting cards, notecards, prints, placemats, diaries and other associated items. Their publications feature colourful photography, nostalgic transport and countryside images, retro and vintage posters and contemporary artwork. Salmon products are available in many retail outlets including stationers, card shops, bookshops, garden centres and giftshops. You can also buy their calendars, diaries, recipe books, placemats, prints, greetings cards, notecards, picture guidebooks and gift books directly from their website. Salmon have a very wide range of calendars like the London Transport Museum one above featuring poster art, and pets, wildlife, heritage transport, humour, art, countryside scenes, flowers and gardens, scenic photographs of the British Isles, etc. You’ll need to ask whether they are Sunday or Monday start if buying from their website, as they do not say. 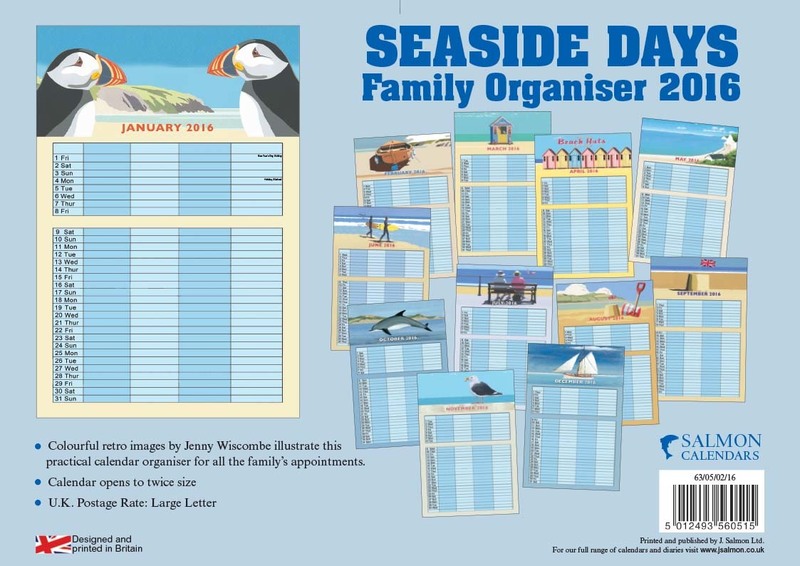 They also have organiser calendars with innovative use of columns which make for easy organisation – Mum’s Family Organiser (Monday start), the Family Organiser (1st of the month start), the Seaside Days Family Organiser (1st of the month start) and the Boldtype Family Organiser (Monday start). Salmon calendars simple and easy to read red coloured Boldtype range includes the aforementioned organiser calendar, large engagement calendar (start of the month start), desk calendar (Monday start), Weekly Appointment calendar (Sunday start), Monthly Planner (start of the month start), Monthly Appointment calendar (start of the month start), Monthly Engagement calendar (start of the month start), Large Boldtype (Sunday start, 3 months to view), Small Boldtype calendar (Sunday start), Small Engagement calendar (start of the month start), Cleardate Slim (start of the month start), and the Boldtype Engagement calendar (Sunday start, bold dates with Sundays and holidays highlighted in red and a useful write-on appointment date panel). 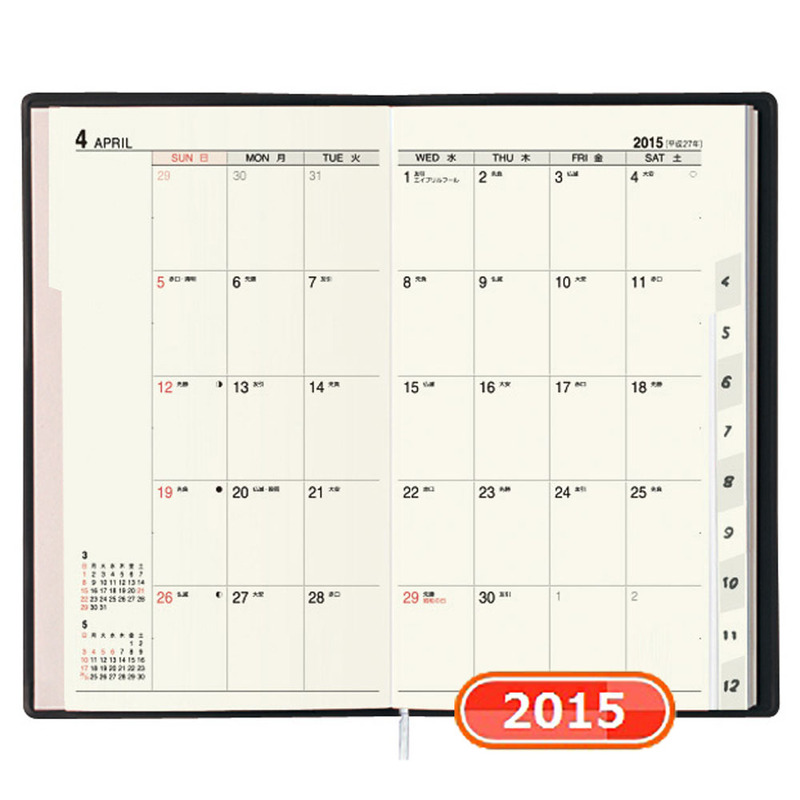 They also do a handy pocket calendar (Sunday start, inch and mm rulers on the back) and handy Calendar Date Pads. 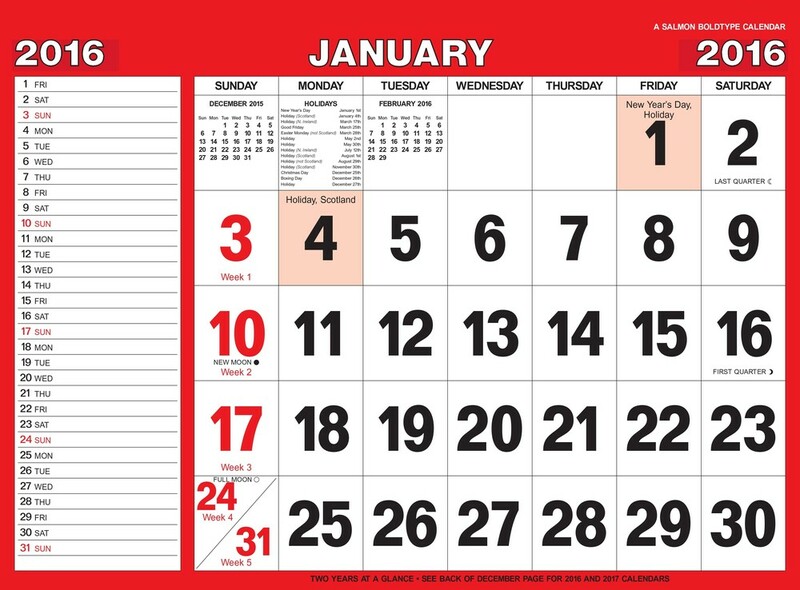 Calendar and diary prices (and postage) are very reasonable. J Salmon diaries include their week-to-view Sunday start simple Boldface desk diaries in red or blue; month-to-view (1st of the month start, 3 1/8ʺ x 2ʺ / 79mm x 51mm) mini diaries featuring various scenic photographs on the covers; pocket diaries with cover designs including steam locomotives, lifestyle coastal scenes and garden birds, cats, dogs and flowers (5ʺ x 3 3/4ʺ / 127mm x 95mm, week-to-view, Sunday start, with hard-wearing plastic covers to protects the diary); slim diaries with various covers featuring animals or scenic photographs (5 1/2ʺ x 3ʺ / 139mm x 75mm, week-to-view, Sunday start); and large illustrated diaries (5 7/8 x 8 1/2ʺ / 148mm x 210mm, Monday start, two weeks-per-page, wire-o-bound). 25 Sept 2017 update sadly J Salmon says it will close its business down in December 2017. As of August 2018 their website now says “The company took the decision to cease printing production in late 2017 and finally withdrew from publishing in the early part of 2018 and is now concentrating on licensing imagery from its archive.” Sad that they have stopped printing what were excellent products. 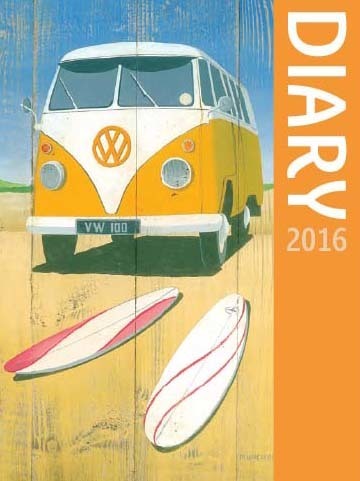 Salmon Calendars Seaside Days Organiser calendar 2016. 1st of the month start. Designed and printed in Britain. Salmon Calendars Boldtype Engagement calendar 2016. 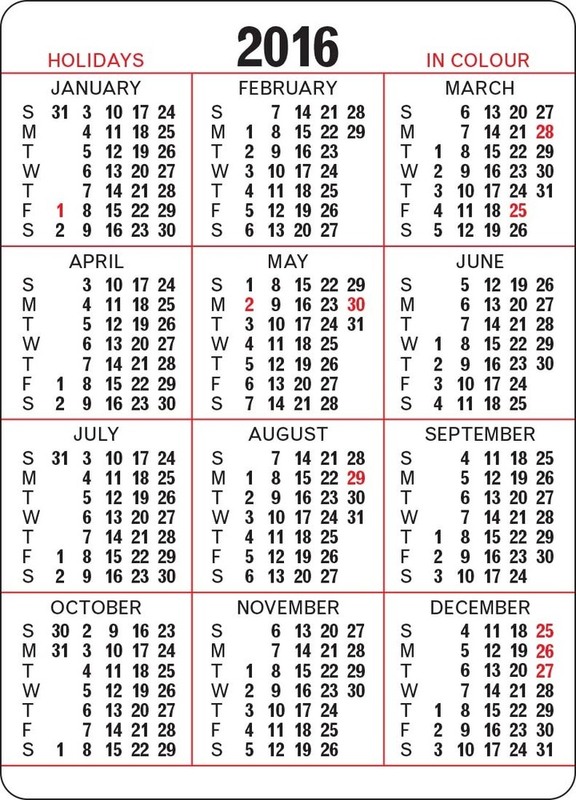 Salmon Calendars Pocket Calendar 2016. Sunday start. 6.5×9.5cm. 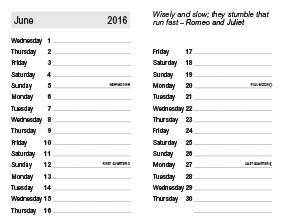 Salmon Calendars Pocket Calendar 2016. Sunday start. Rear view. 6.5×9.5cm. 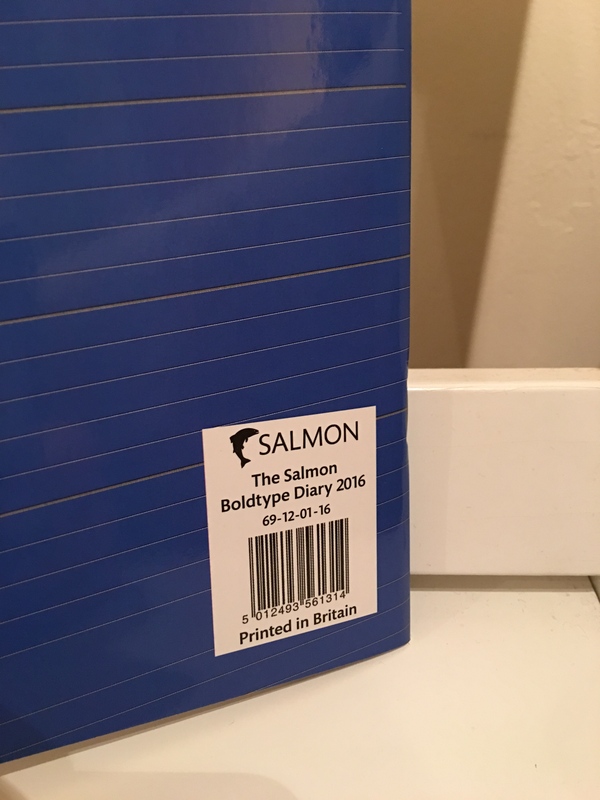 Salmon Boldtype Diary Blue 2016. Inside view. 8 1/4ʺ x 5 7/8ʺ (210mm x 148mm). One week per page. Salmon Boldtype Diary 2016 in blue. Front cover view. Photograph by author. 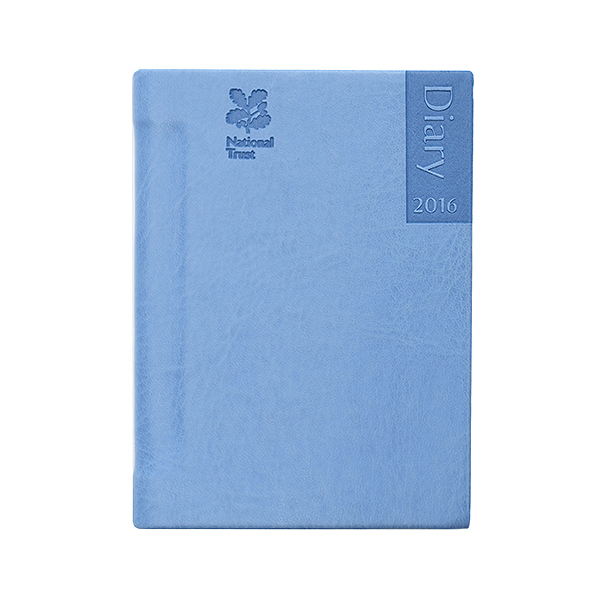 Salmon Boldtype Diary 2016 in blue. Printed in Britain. Rear cover label view. Photograph by author. Salmon Mini Diary 2016 – Coast. 3 1/8ʺ x 2ʺ (79mm x 51mm). Month to view. Beginning of month start. Salmon Mini Diary 2016 – Coast. 3 1/8ʺ x 2ʺ (79mm x 51mm). Month to view. Inside view. Salmon Campervan Pocket Diary 2016. 5ʺ x 3 3/4ʺ (127mm x 95mm). Week to a page. Sunday start. Plastic cover. Salmon Campervan Pocket Diary 2016. 5ʺ x 3 3/4ʺ (127mm x 95mm). Week to a page. Sunday start. Plastic cover. Inside view. 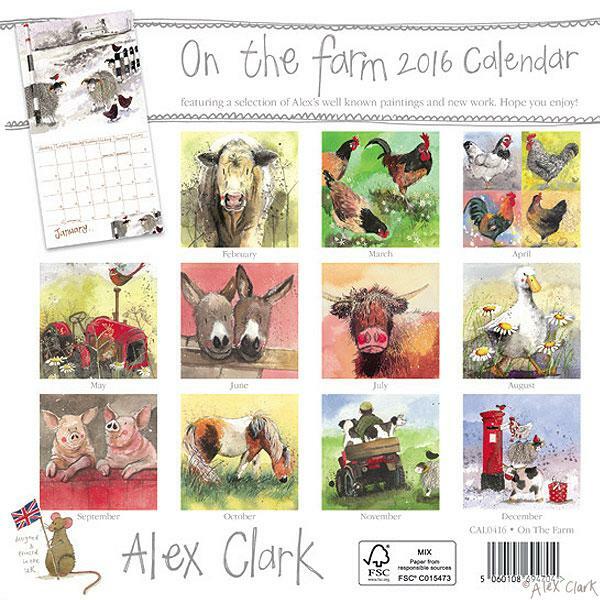 Alex Clark CAL0416 On The Farm Calendar 2016. Made in the UK. Back view. The Parson’s Pocket Book 2016 by Atkinson Publications Made in the UK. Sunday start, with notes. The Parson’s Pocket Book 2015 by Atkinson Publications, inside view. Sunday start week-to-view with a notes page to the left. Made in the UK. The Parson’s Pocket Book by Atkinson Publications. Inside view showing Lectionary. Made in the UK. Please note that Collins (Colins Debden) diaries are made in Singapore, including the dairies they produce for Unions such as the PCS diary and the ISU diary in previous years. Colins talk about their British history and their environmental credentials on their website, but they do not admit to manufacturing abroad on their website. As far as I know all Colins diaries and other products are foreign made. “In 1989 Wm. Collins & Sons merged with Harper and Row of the US to form Harper Collins publishing. In 1995 the stationery and diary division of Harper Collins, and the long established fountain logo was acquired by Debden to form the company we know today as Collins Debden Ltd.” (from the Collins website). William Collins & Sons have gone then, split into Collins Debden making diaries (but not manufacturing in Scotland anymore) and Harper Collins (part of News Corp of the USA) making books. Gilt Edged are a promotional products company based in Northampton. They specialise in promotional products such as embroidered workwear clothing, promotional corporate gifts and bespoke stationery items such as diaries and calendars. They mention having there own factory on their website but as far as I can gather only printing and embroidering of clothing items takes place at there. 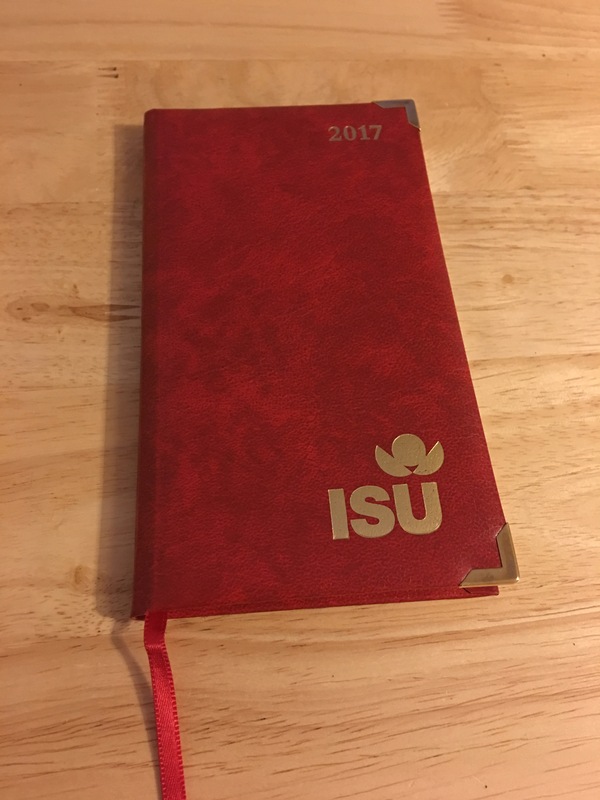 They supplied the 2017 diaries for the Union ISU, but give no county of origin information on these diaries and I assume these diaries are foreign made. 2017 ISU (Border Force) Diary by Gilt Edged. No country of origin information is given in the diary, so I assume it is foriegn made. Banner diaries do not state country of origin in them and are presumably made abroad. Banner was originally a division of Her Majesty’s Stationery Office (HMSO) before privatisation so it it is disappointing so many of their products are now foreign made. The 2014 diary work have given me was supplied by Banner and country of origin is stated on that (it is made in India). Office Depot / Viking Direct / Niceday do not bother to give country of origin for their office diaries. I suspect all their own brand diaries are foreign made. In case you didn’t realise, Italian notebook brand Moleskin (which does Monday start or page-per-day diaries) are not made in the UK or even in Italy for that matter, but in China, Vietnam or Turkey. Castelli diaries are made in Italy. Quo Vadis diaries seem reluctant to say where their diaries are made on their UK website, but from what I can gather from their US website and elsewhere, the paper used is made in France, the diaries themselves are then made in the USA and the covers are made in Canada; in any case they are not made in the UK. Sadly, the SPCK Church Pocket Book is not made in the UK and these days it is made in India. 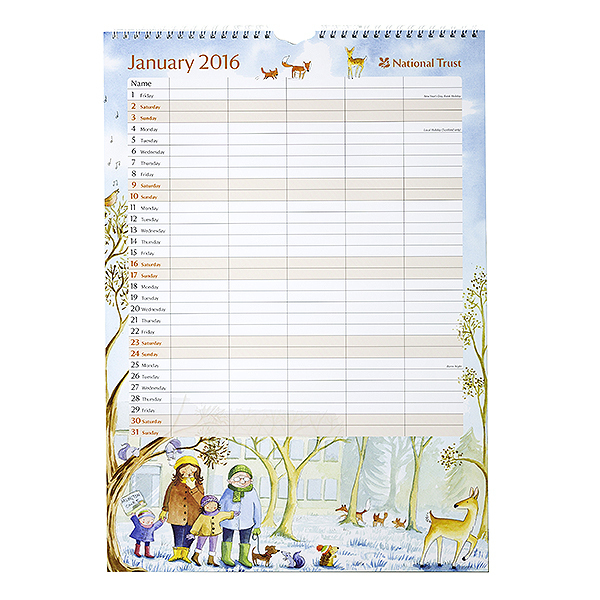 WWF (World Wide Fund for Nature / World Wildlife Fund) calendars and diaries sadly are all foreign made. Lost and Found. Moleskine weekly diary planner lost or found. 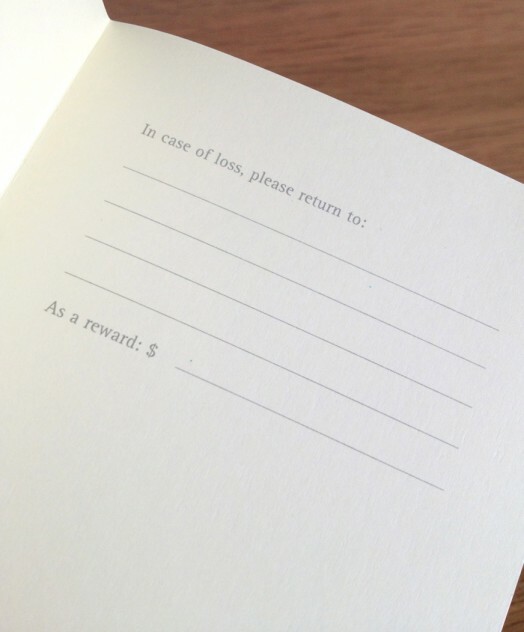 “In case of loss, please return to:…” and “As a reward:$…” 2011. Shame it’s not a £ sign. Close up view. Doubtless there are more British made diaries and calendars out there, but you will need to check carefully to make sure it is made and printed in the UK and that what you are buying really is British. Please note that when it comes to diaries the size given often refers to the size of the internal pages not the size of the overall diary plus cover. How to set the calendar’s start day of the week on iPhone and iPad – click the link. Do weeks start on a Sunday or a Monday? A quick look on the net gives opinions in favour of both. I think this is very much down to personal choice. For me the week starts on a Sunday because that’s when my working week starts and because that’s what I am used to I want a Sunday start diary. For others a Monday start diary or calendar might be the choice, for example because it keeps Saturday and Sunday together in a week-to-view diary. Traditionally the week starts on a Sunday in the UK from what I remember and this is evidenced by the photographs of old diaries below which start the week on a Sunday (although other old diaries may have started the week on a Monday). “Sunday, in the ecclesiastical numbering system also counted as the feria prima or the first day of the week” according to Wikipedia. The Parson’s Pocket Book (see above) starts the week on a Sunday. In conclusion, the week starts on a Sunday! 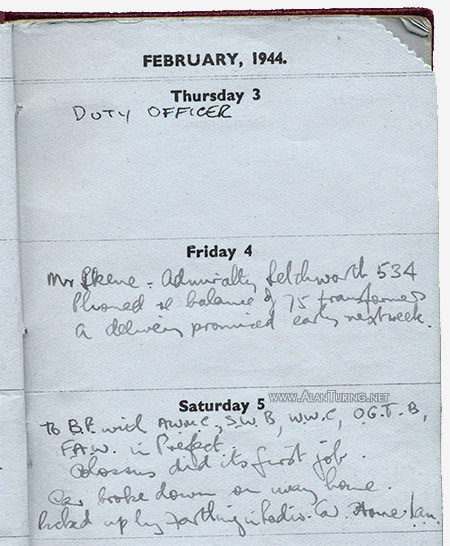 Thomas H. Flowers’ diary, 5 February: ‘Colossus did its first job. Car broke down on way home.’ Not sure who made this dairy but it looks good. 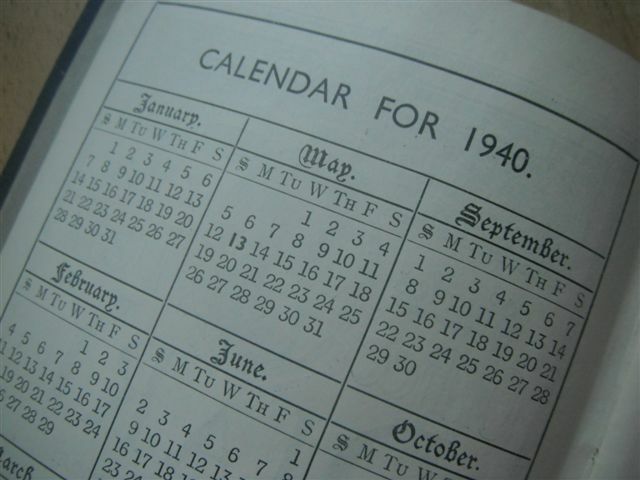 The calendar page from a 1940 diary; Sunday start. 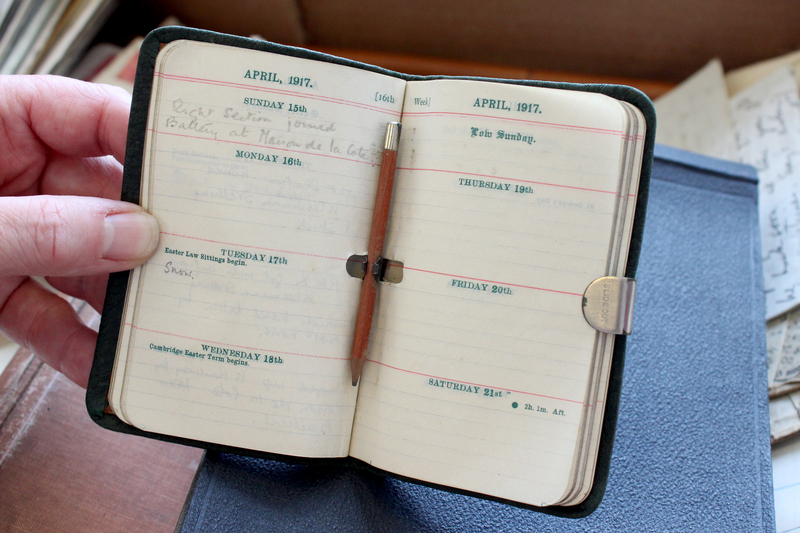 This particular diary is a page-per-day Charles Letts’s Diary, made in England for a British market. 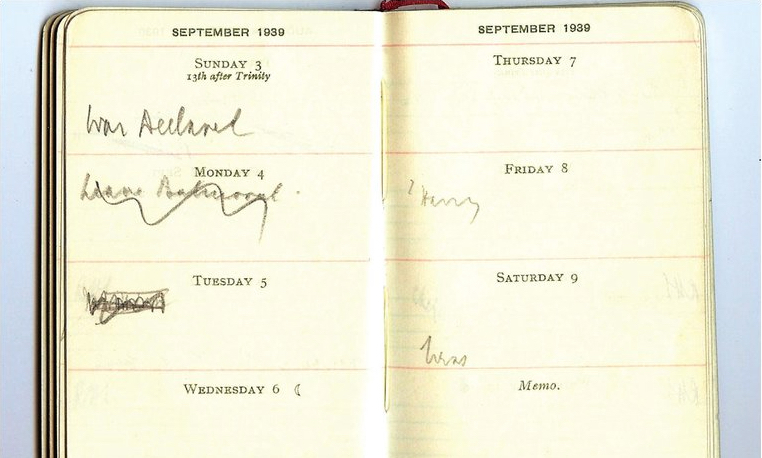 War-time prime minister Neville Chamberlain’s diary; Sunday start. He marked the start of World War II by writing “War declared” on 3rd September 1939. The diary of Arthur Travers Saulez. 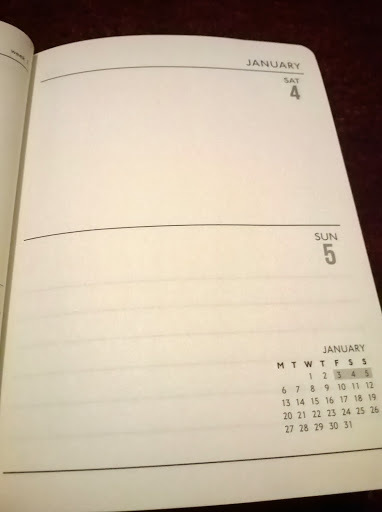 I don’t know who made this rather smart Sunday start diary. I’d like to see British diary manufacturers making more Sunday week start diaries. 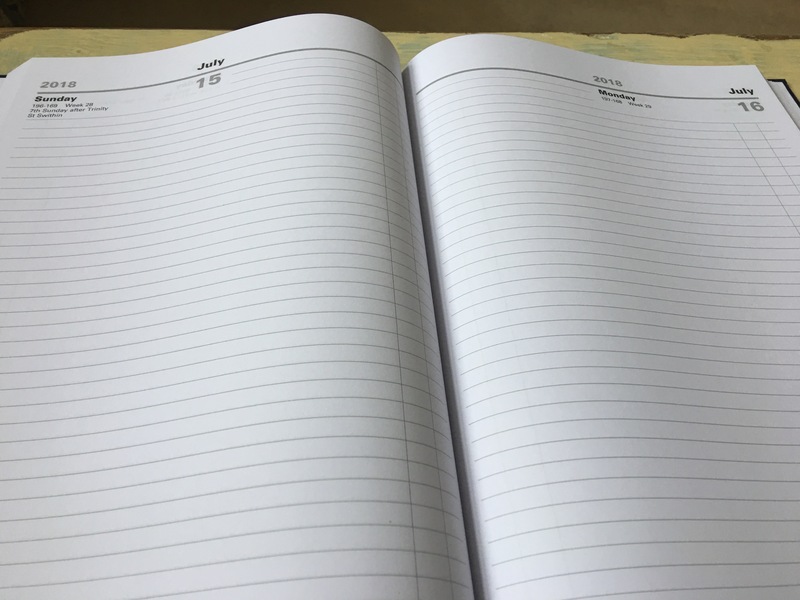 I’d also like to see British diary manufacturers making more diaries with a Sunday start week-to-view on the left (or right) hand sides and squared, lined or plain paper blank pages for notes on the right (or left). Also, they could make more dairies with little pockets at the inside back (and inside front) where you can put odd little papers and things, and more monthly planner diaries. British manufacturers would do well in my opinion to have a a look at the diaries they make in Japan for ideas. The below Japanese made 2015 Schedule Diary by Pagem (ref. 2621) is a great diary. 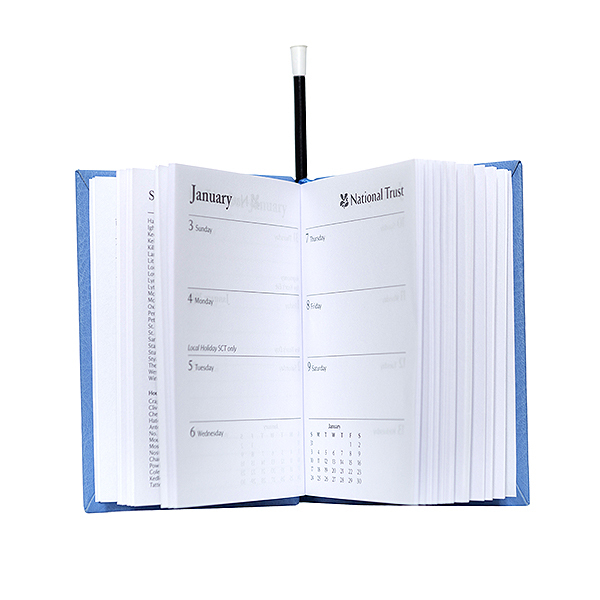 Sunday start, month to view, pockets front and back, removable address book (with ruler), high quality paper (85 gsm), 162×97×7mm size, period: November 2015 January 2017, with 2016 yearly planner, 64 pages, page marker ribbon, 2016/17/18 calendars (no 2014 calendar), plenty of notes pages, tear off memos, pen holder (no ‘hidden’ pencil though), strong plastic cover, it lies flat, a great layout throughout, and a very reasonable price. Pagem 2015 Monthly 4 (Black)  diary. Made in Japan. Inside view. 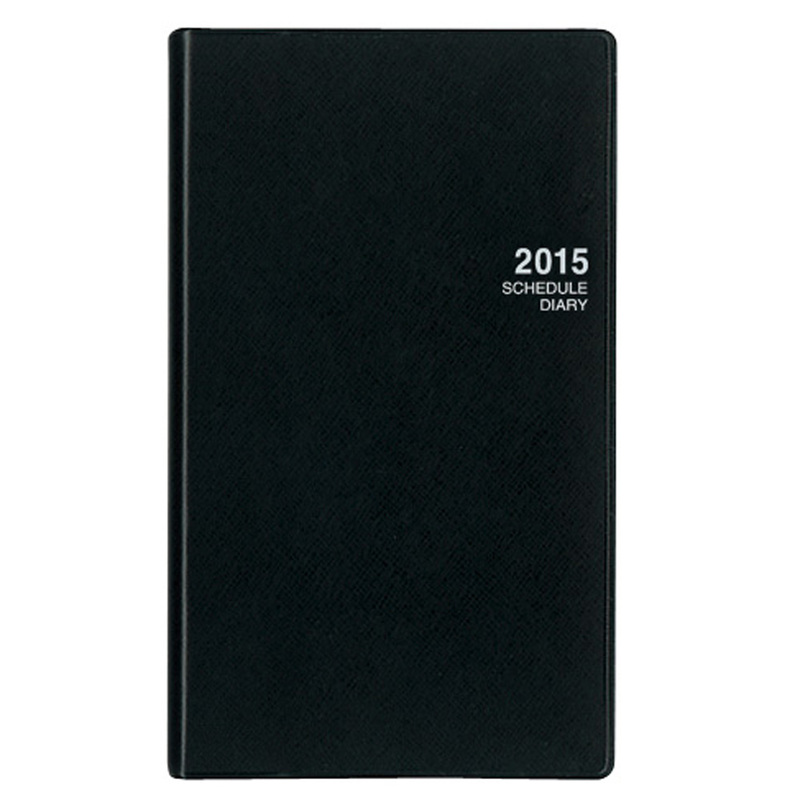 Pagem 2015 Monthly 4 (Black)  diary. Made in Japan. Cover view. British made diaries – UK made diary – UK 2014 diaries – Diary made in the UK – Diary made in Great Britain – British diaries – British made academic diaries – British datebooks – Diaries made in the UK – Appointment book – Engagement book – Organiser – Personal Organiser – Calendar – Agenda – Schedule – Filofax – British made appointment book – Mid year diary – Date book – Letts – Leathersmith – Go Stationery – Full diary – Sunday start diaries – Diaries made in the UK – UK made diaries – UK diaries. 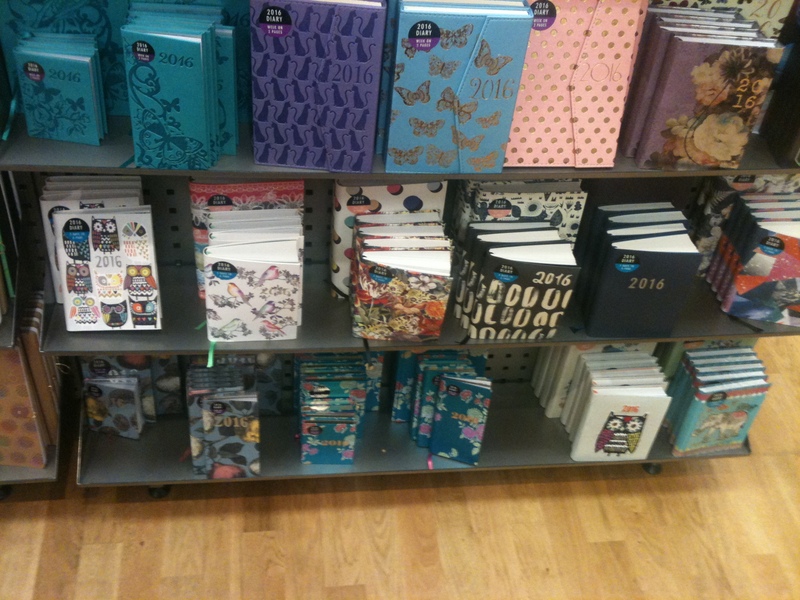 Some of the diaries in this display in Paperchase in Reading are made in the UK. Salmon Boldtype Diary 2016 in blue. Front cover view. 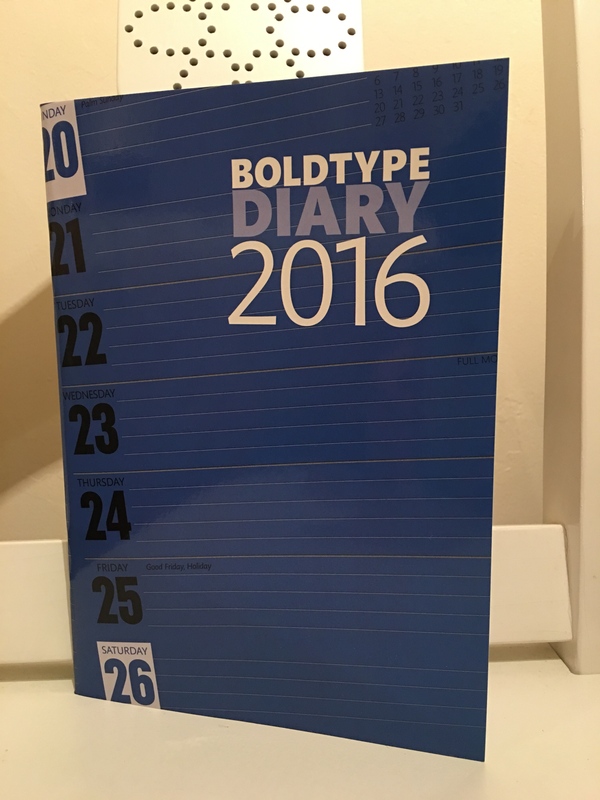 Salmon Boldtype Diary 2016 in blue. Printed in Britain. Rear cover label view. 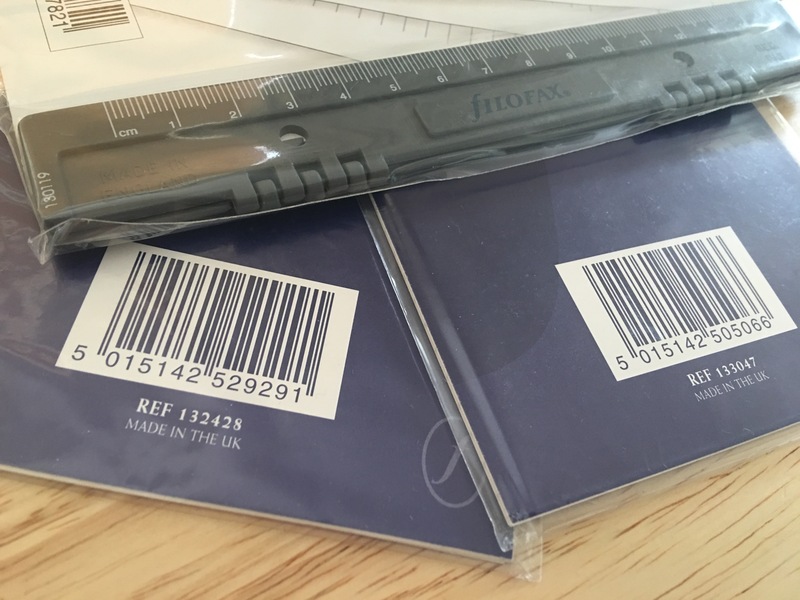 Old Filofax inserts and accessories were clearly labelled made in UK or made in England, like those for the Personal organiser in this photograph. 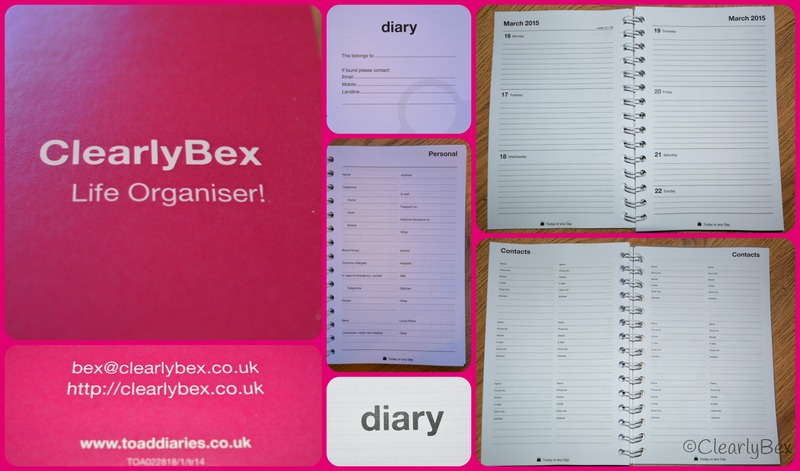 Unfortunately modern inserts and accessiries from Filofax no longer have country of origin labelling. 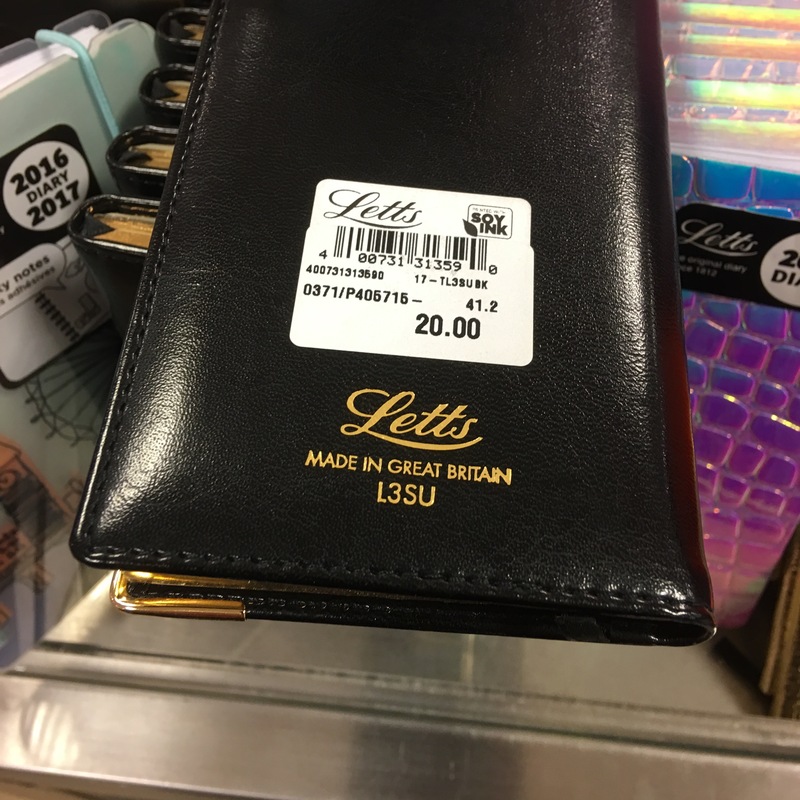 A Letts 2017 L3SU diary carrying the words “Made in Great Britain” on display in Selfridges, London 11/10/15. Photograph by author. 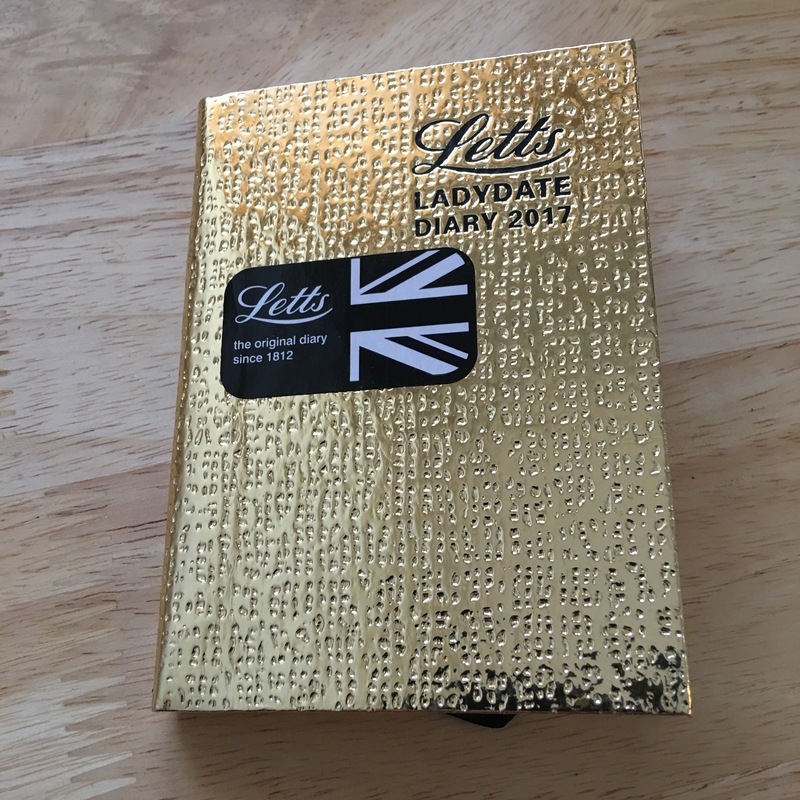 A Letts 2017 LADYG Ladydate diary carrying the words “Made in Great Britain” on the rear cover. Front cover view. 12/10/15. Photograph by author. 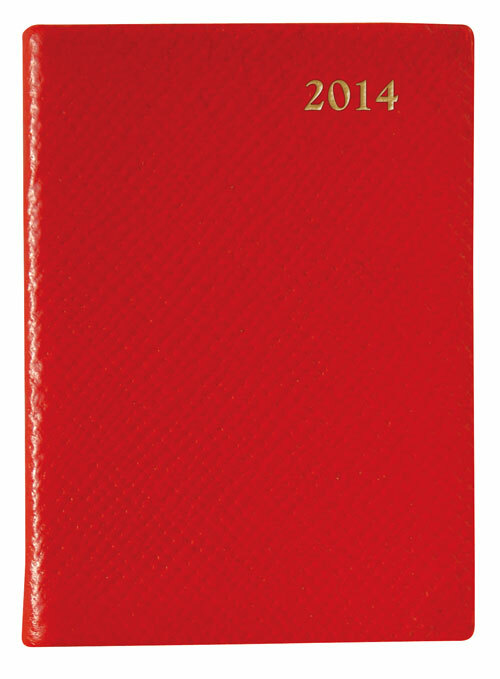 A Letts 2017 LADYG Ladydate diary carrying the words “Made in Great Britain” on the rear cover. 12/10/15. Photograph by author. Letts Business Desk A4 page per day diary 2018. Made in Great Britain. Photograph by author 2 January 2018. Pages view. 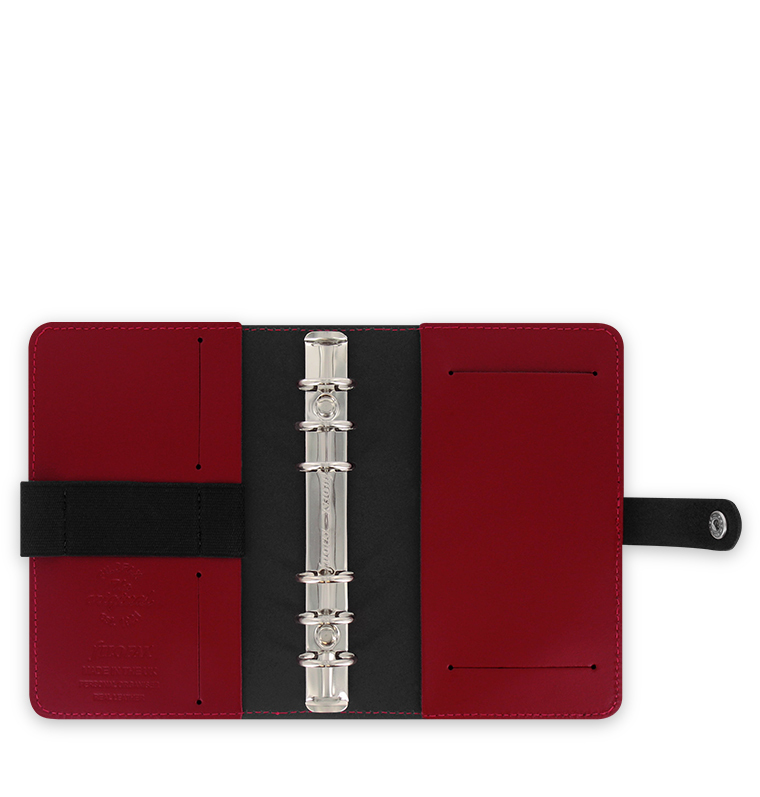 Request slim spiral backed diary in black or maroon, but not designed for children. Love your posts, very informative, thank you. Hi. Thank you for your comment. No I had no idea that Lilliput Lane was closing down. What a shame. We may be small but our heart is big . Hi. Many thanks for taking the time to tell me more about your diary. I have added Talking Trees Books to my write up. I hope you like it. Thank you very much for taking the time to include Talking Trees Books Diary and our Yuletide book , it means a lot to our small set up to be acknowledged as we are very proud to be uk made and promoting Uk traditions and folklore. Hi there, I know this post was years ago, but I wanted to thank you for this overview of UK diary publishers and brands, that has potentially solved a mystery for me. I’m a Kiwi myself, but I’m a bit of a diary-fiend and look at brands from all over the world, and I found your post because I’d noticed that Undercover and Hope House Press use identical insides for their diaries – at least for their weekly vertical spread, which is my preference. As you point out, neither brand makes it clear where they get their paper from, but with the help of your list of companies I think I might have solved it: it looks like those insides are also identical to those produced by Sloane Stationery. So if Sloane’s diaries are indeed “handmade in England by traditionally trained craftsman” as their site describes, then that might answer your same question for Undercover and Hope House Press as well. Hi. Thank you for your comment which was most interesting. I had no idea that the insides of their diaries were the same. Whether Sloane Stationery actually make anything themselves is not clear from their website. They give very little information about production. Possibly all three companies have their diary innards printed elsewhere? This article is old now but I do try to keep it updated. Thanks again. Always happy to hear more if you find anything more of interest.